The votes this year were incredibly close, much closer than in previous years, with single-use winning by only a handful of votes ahead of Me Too. 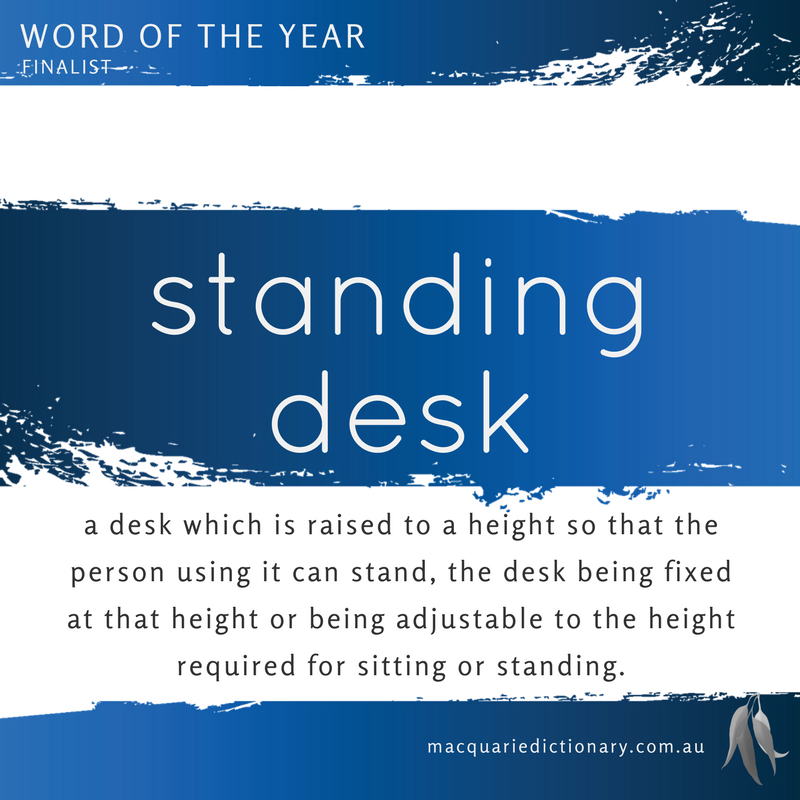 Both of these terms were clearly needed and have been a significant part of our discourse over the past year, which is reflected in the public vote. This was a close count, with many words proving to be very popular with voters. Scraping in at a very close second was our Committee's Choice of Me Too. This was followed again by hygge and vertical farming. 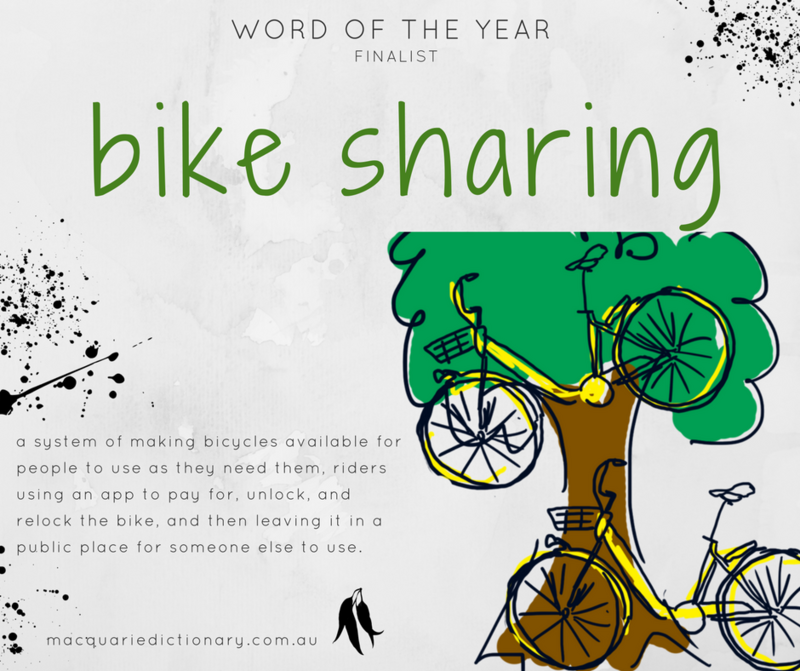 You can find out more about our Word of the Year here. Committee's Choice and People's Choice announced! 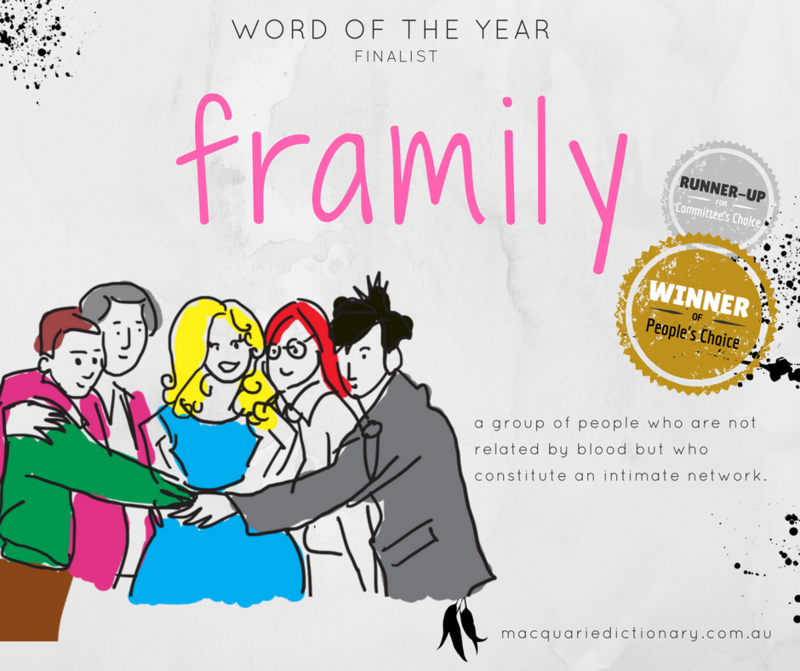 The People's Choice for the 2017 Word of the Year is framily. 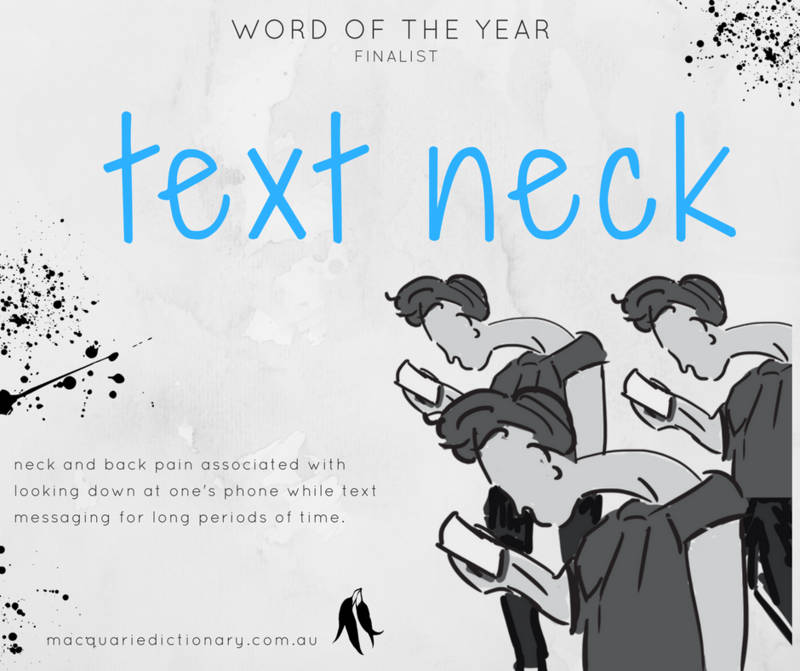 Honourable mentions go to endling and text neck. 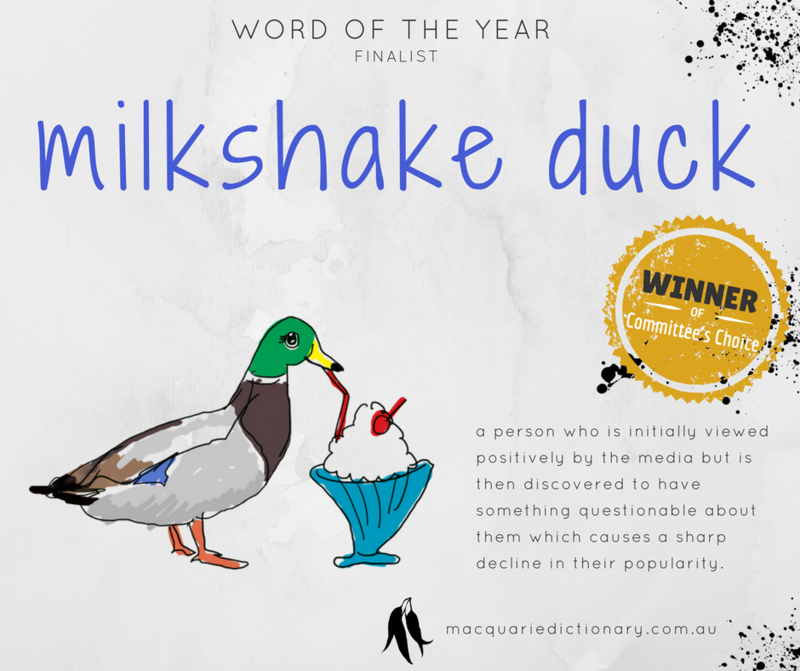 The Committee's Choice for the 2017 Word of the Year is milkshake duck. 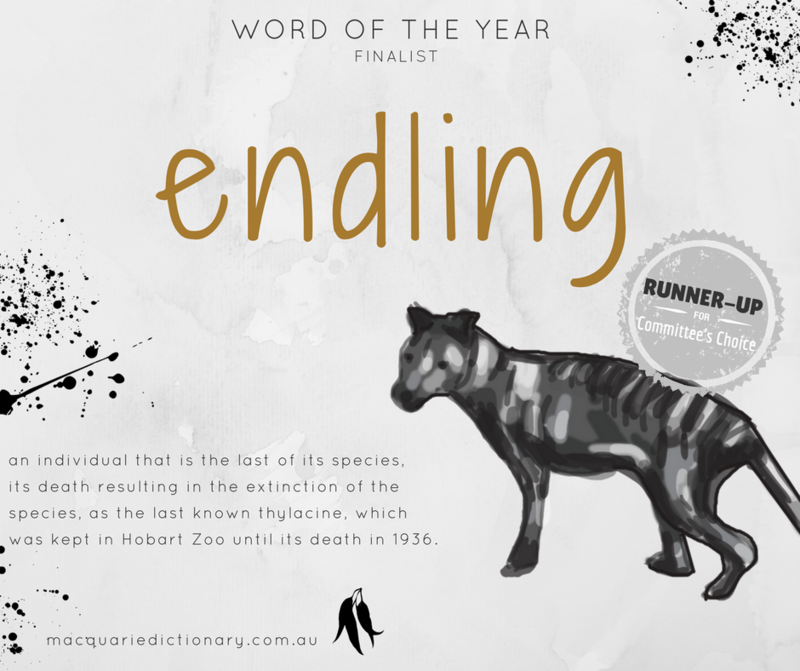 Honourable mentions go to endling and framily. You can see a full list of the finalists below. 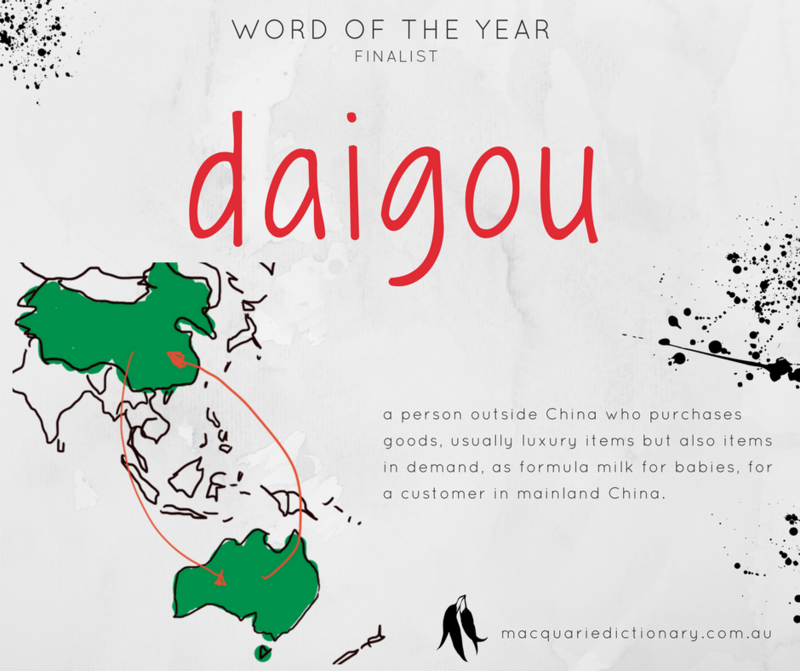 You can find out more about how and why this word was chosen on our news page. The Committee's top 15 are as below. Download the Committee's Choice Top 15 as a PDF or images. You can also access a longer list of 75 words that the Committee whittled down here. 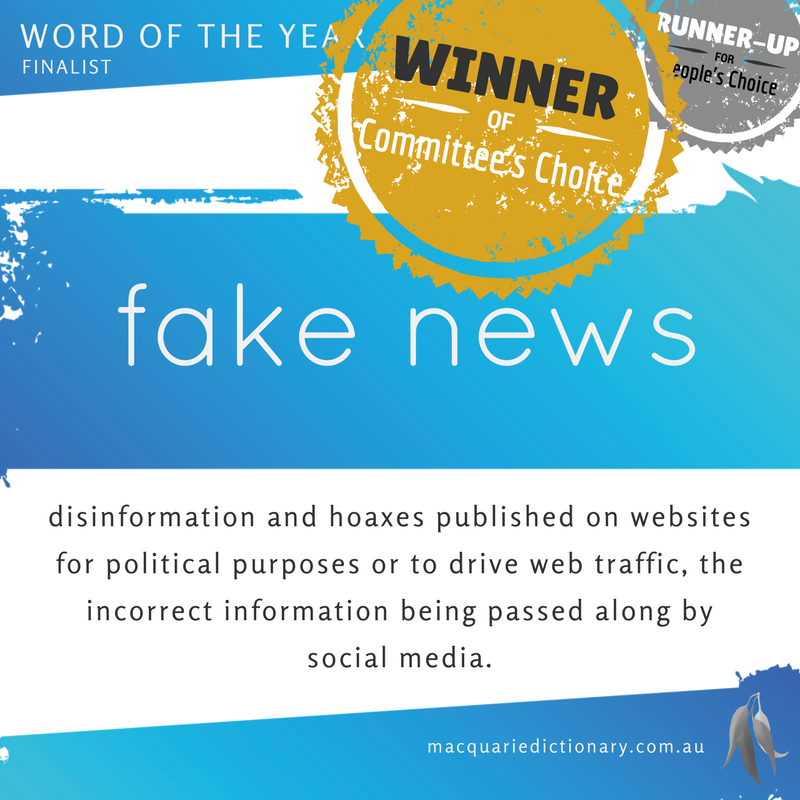 The Committee's Choice for the 2016 Word of the Year is fake news. 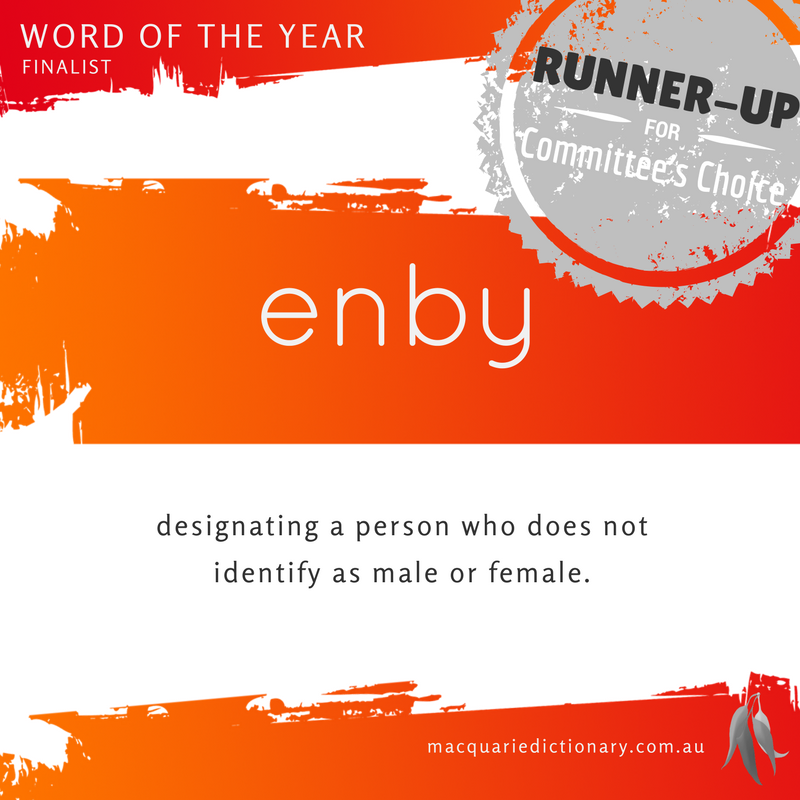 Honourable mentions go to enby and halal snack pack. 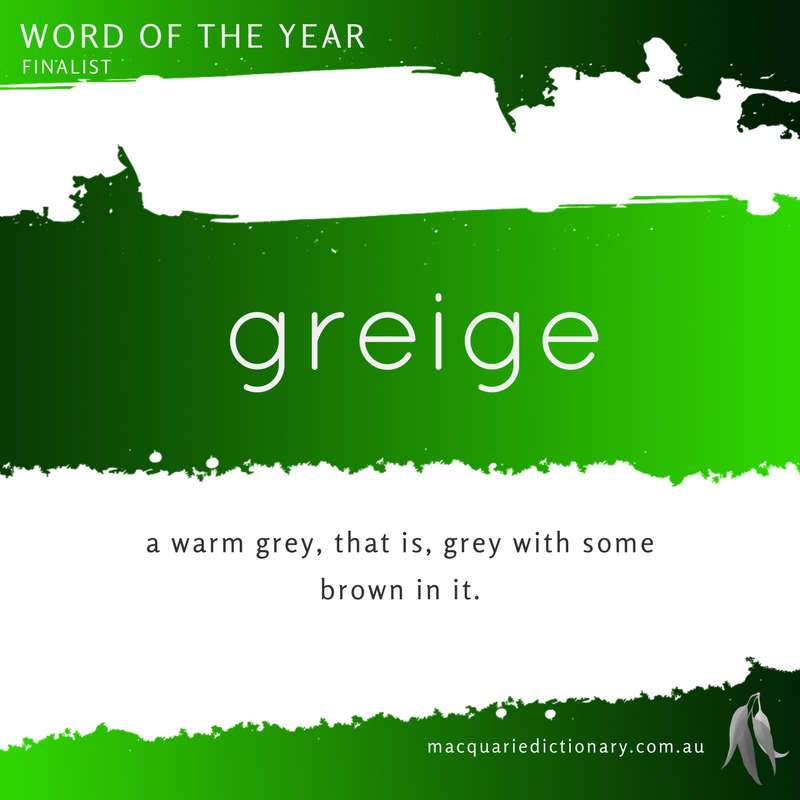 You can find out more about how and why this word was chosen at our news page. 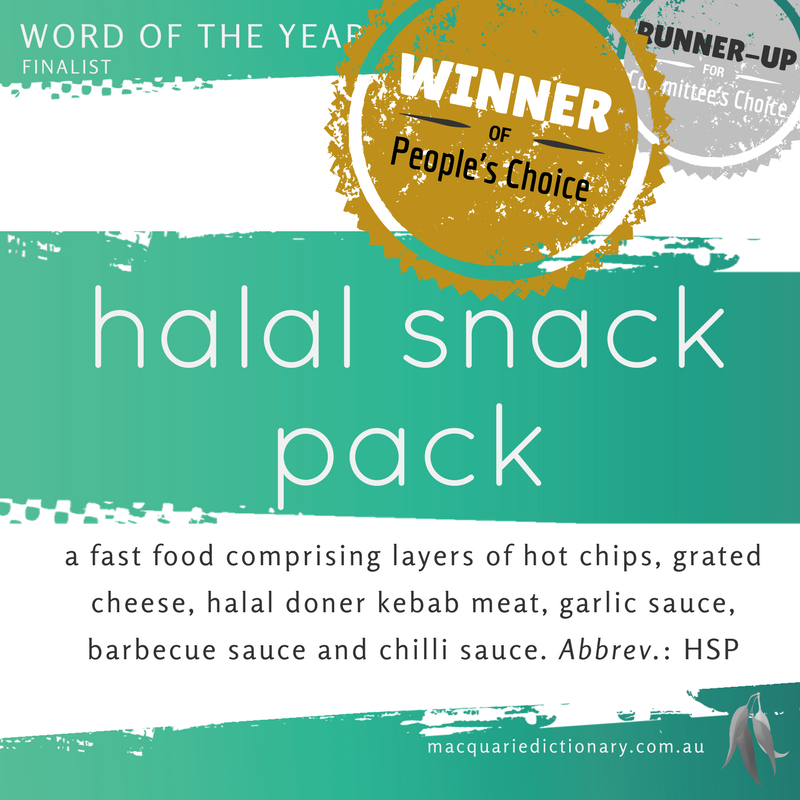 The People's Choice Word of the Year 2016 goes to halal snack pack! 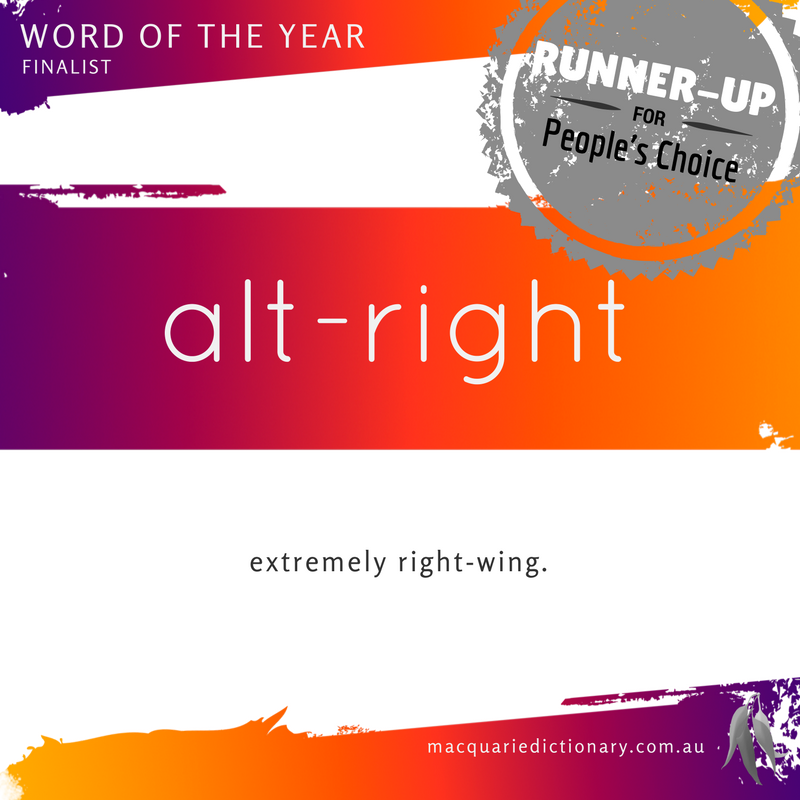 Honorable mentions go to alt-right and fake news. 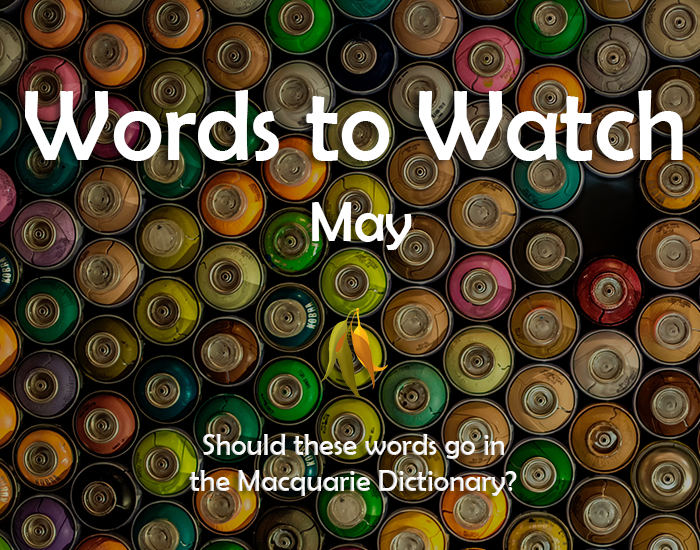 You can find out more about these words and comments from Susan Butler, The Editor here. 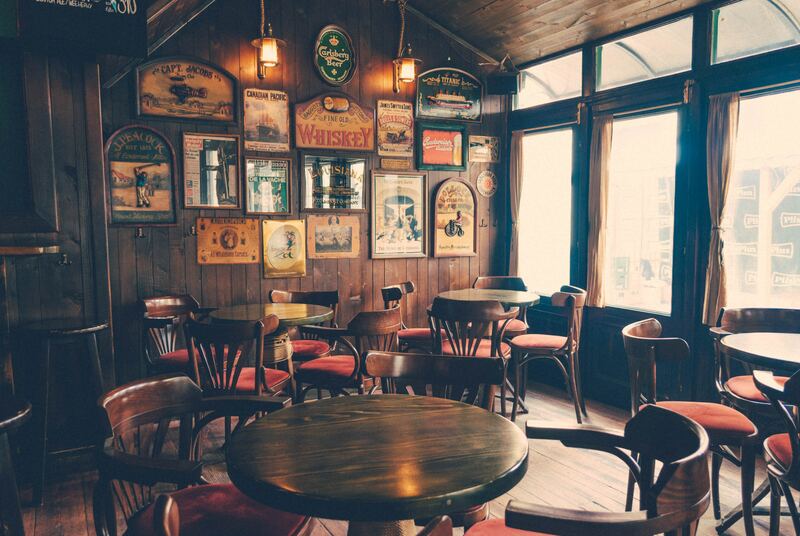 Download the Committee's Choice top 15 shortlist as text or images. 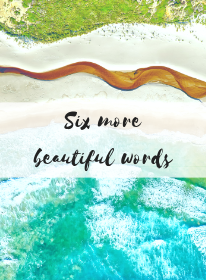 You can also access a longer list of 75 words that the Committee were provided here. 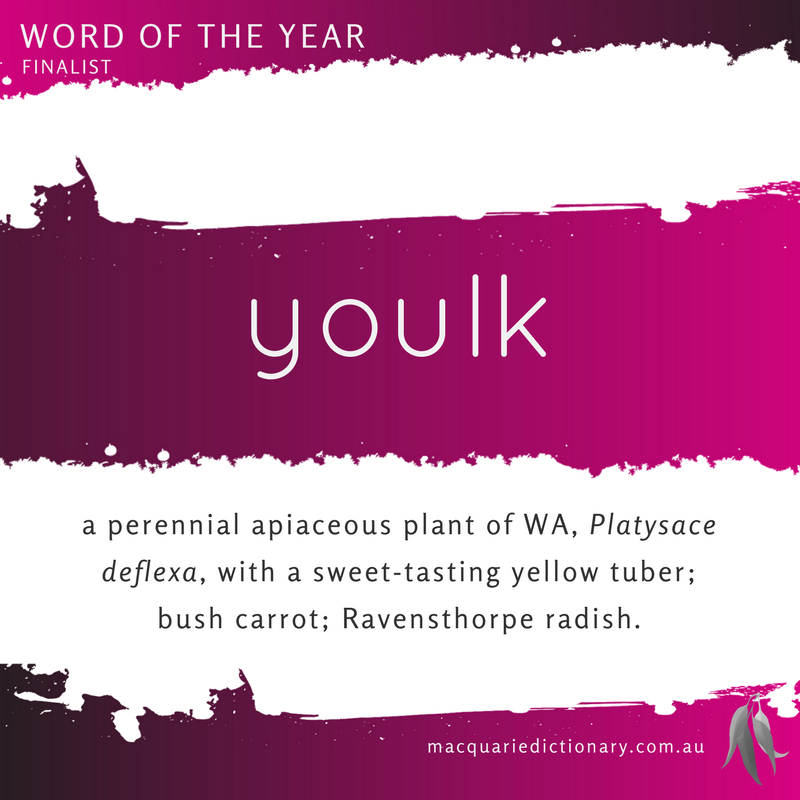 We are delighted to announce the winning word of the Macquarie Dictionary Word of the Year 2015. 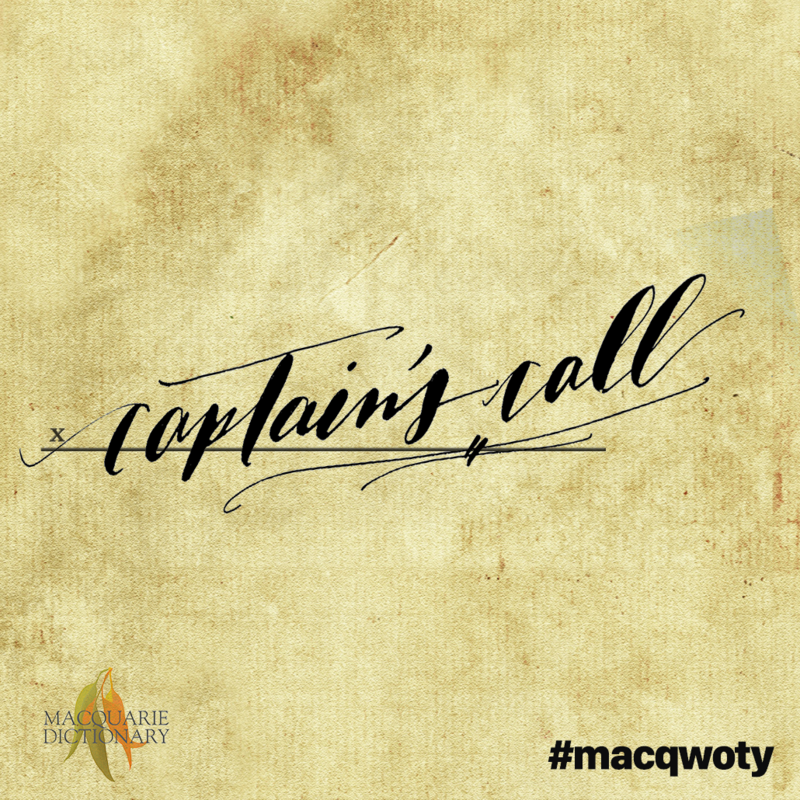 This year's winner, as chosen by both the Word of the Year Committee and the People’s Choice Award, for the first time ever, goes to captain's call. 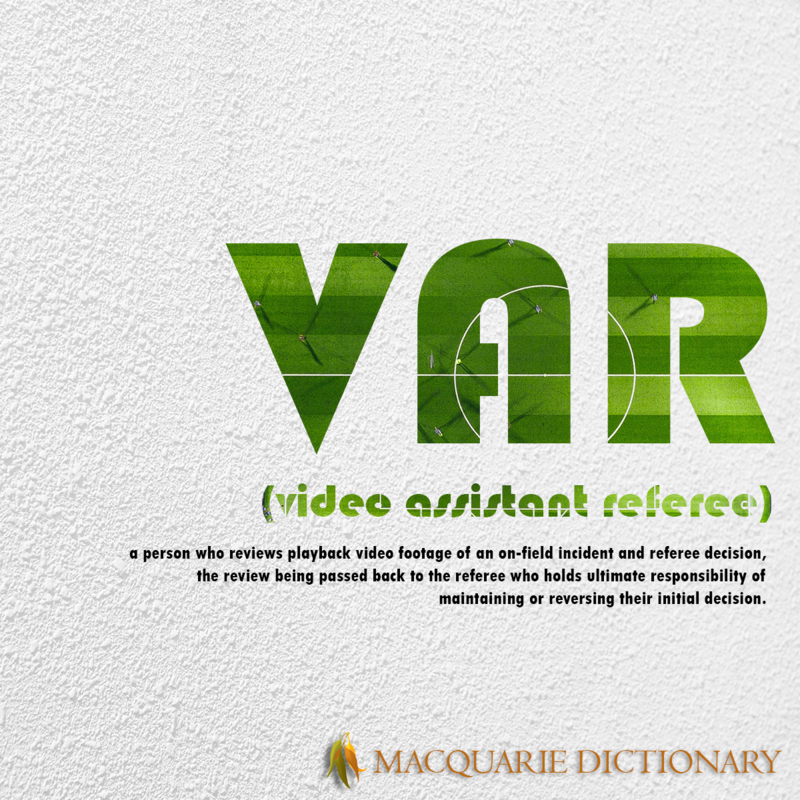 noun a decision made by a political or business leader without consultation with colleagues. 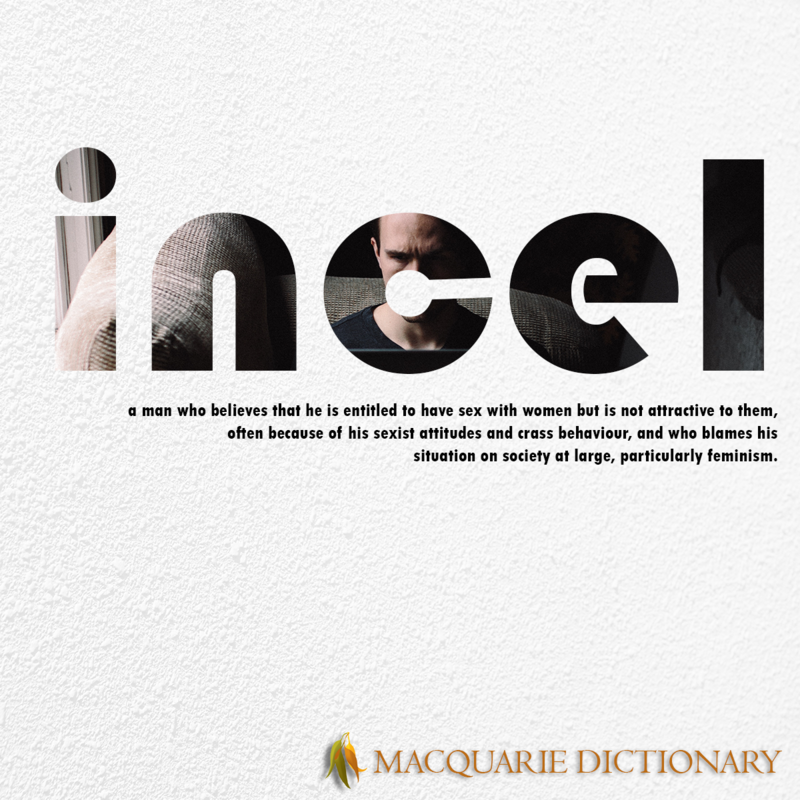 noun an urban male who wishes to associate himself by his appearance with a rugged outdoors way of life, as by wearing outdoor clothes such as check shirts, jeans and large boots combined with a beard as typical of a lumberjack. noun Colloquial a designated driver. Also, deso driver. 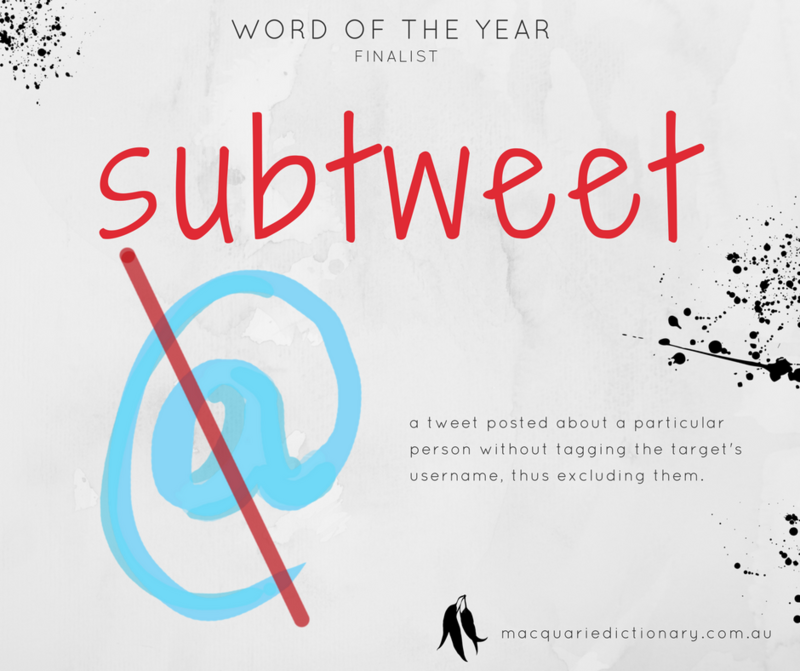 noun a person who adopts an excessively aggressive style in online discussions which they would not normally adopt in person-to-person communication, often in support of a cause, theory, world view, etc. noun a swing gate installed in a ditch going underneath a fence, so that wombats, who follow very predictable patterns at night, can come and go without destroying the fence. 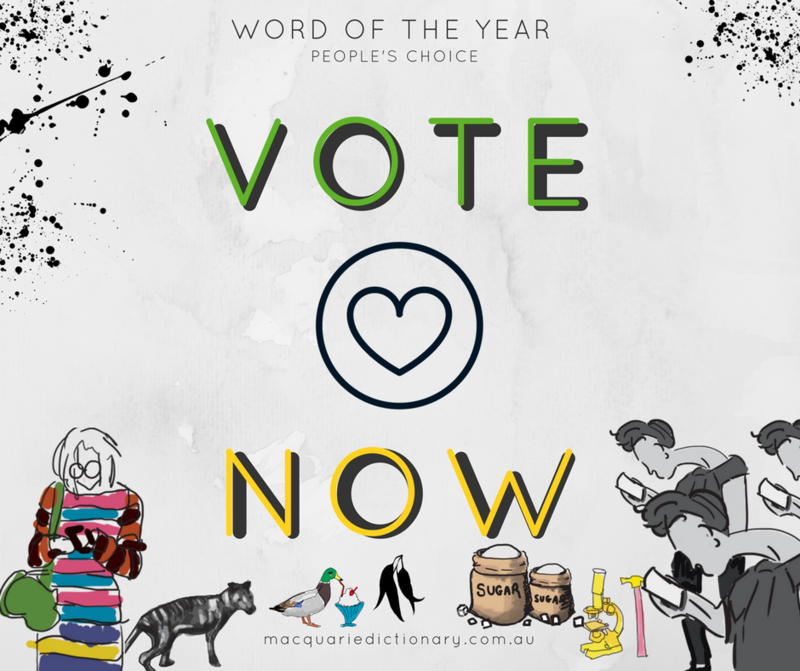 Download the pdf below to view all the entries considered for Word of the Year 2015. Download the media release and read more on our Blog page. The People’s Choice Award goes to share plate. 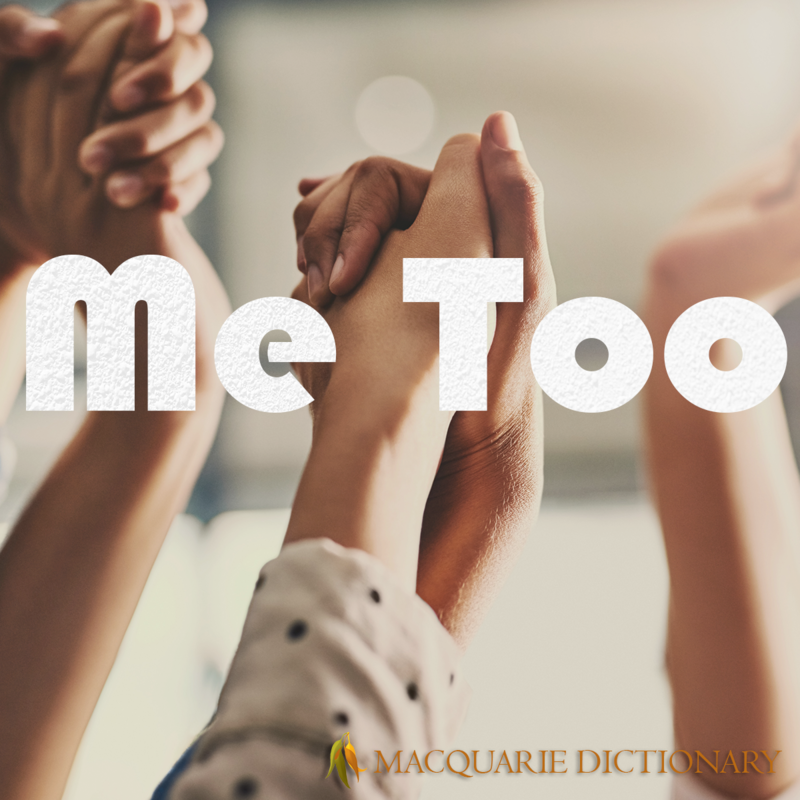 verb (t) Colloquial (humorous) (of a man) to explain (something) to a woman, in a way that is patronising because it assumes that a woman will be ignorant of the subject matter. The Committee chose mansplain as the word of the year for 2014. 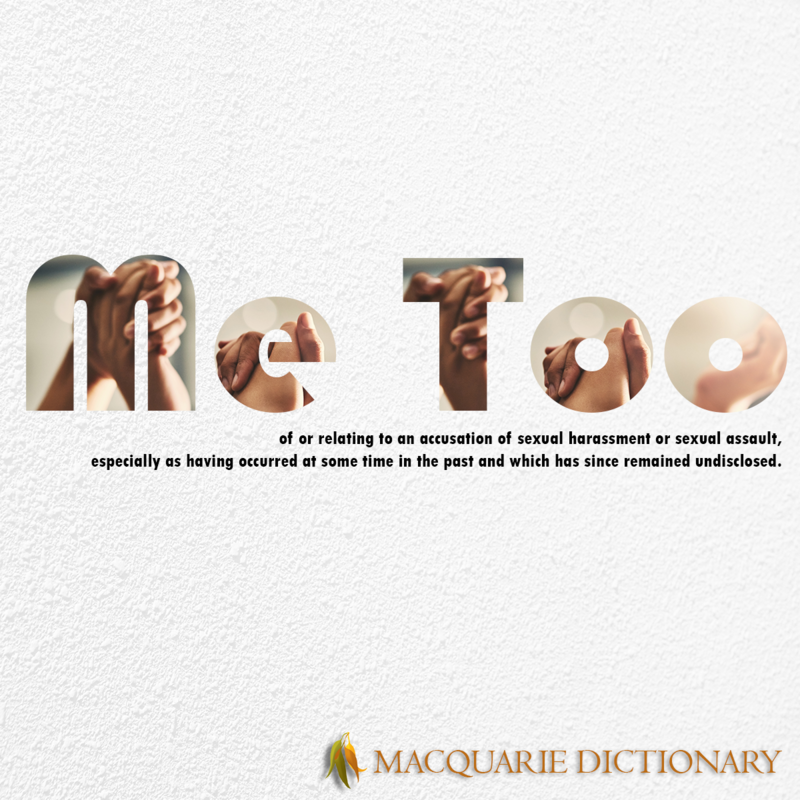 They felt that it was a much needed word and it was a clever coinage which captured neatly the concept of the patronising explanation offered only too frequently by some men to women. 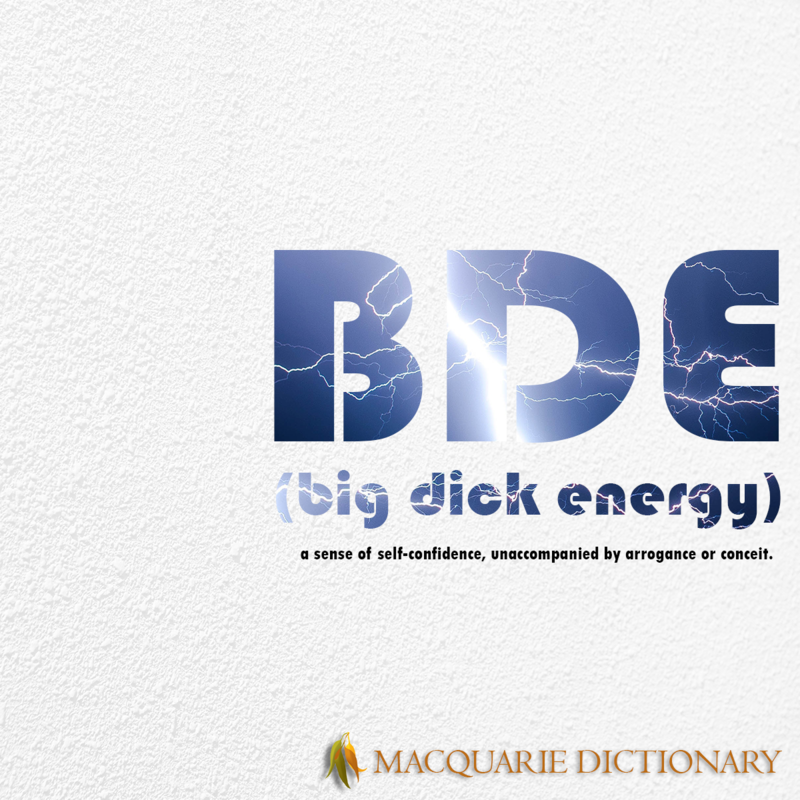 noun the application of strategies or shortcuts used to simplify or improve any aspect of one's life. noun the practice of viewing a favourite television series, seeing many episodes in one extended sitting. 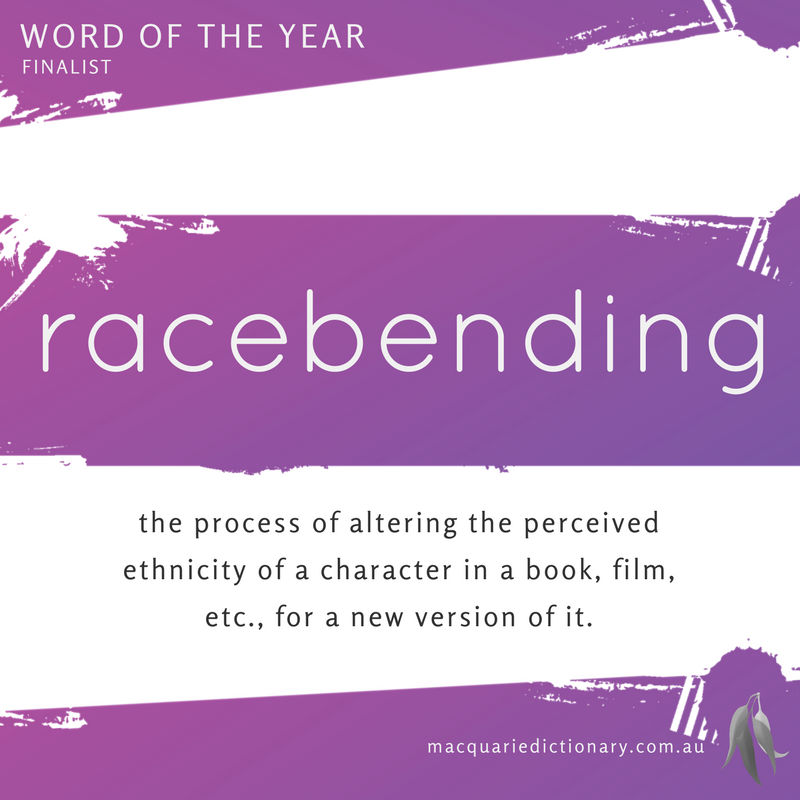 noun a barrier created by prejudice which hampers the progress of Asian Australians to positions of leadership in government and business institutions. The Commitee would also like to give a dishonourable mention to selfie stick for being inescapable. 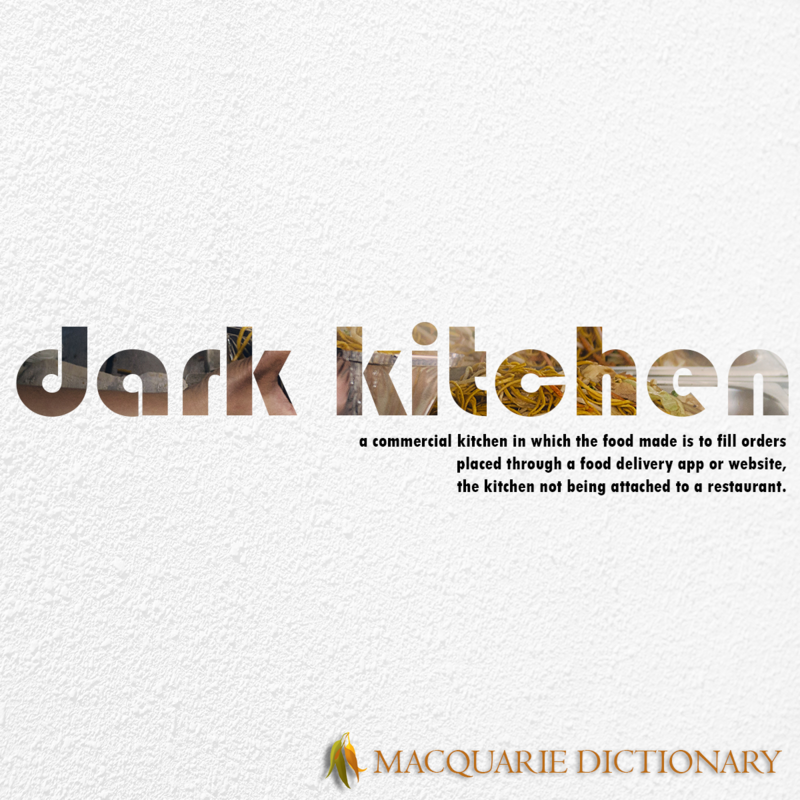 noun a serving in a restaurant designed as multiple small portions so that several diners can share the same dish. 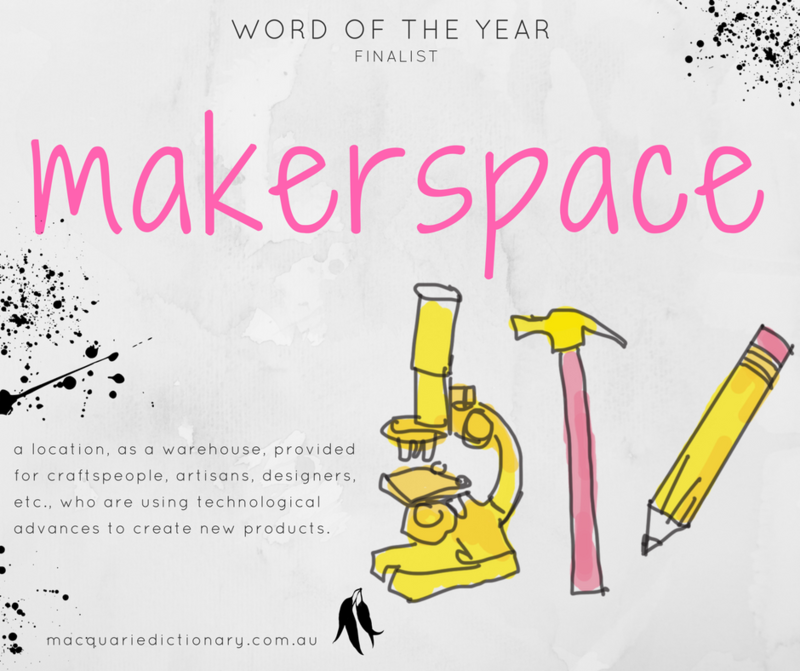 The runners-up are lifehacking, binge watching and selfie stick. 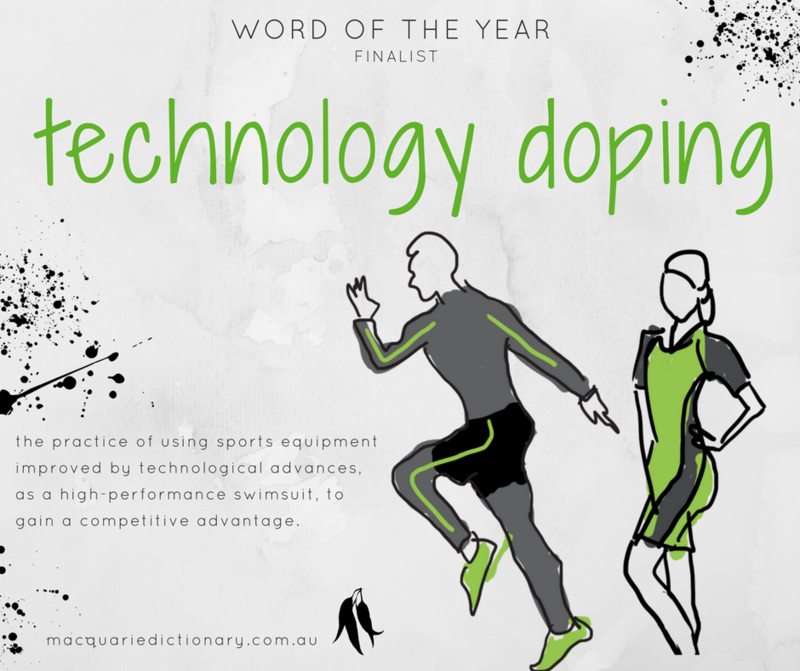 Download the pdf below to view all the entries considered for Word of the Year 2014. The media release is available for download on the News page. 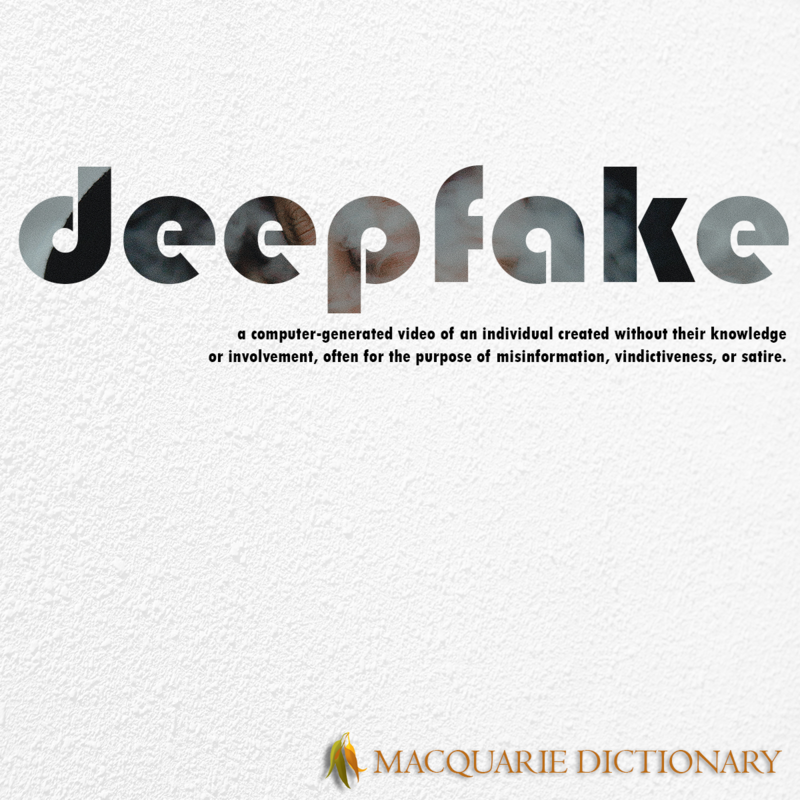 noun a person who craves information, especially one who takes advantage of their ready access to it on digital devices. The Committee thought that the coinage infovore was a response to the perception that we now had access to information all the time. The smart phone made it possible to find out immediately what we wanted to know. For some people knowing that whatever questions life threw at us the answer was a click or two away was a liberating experience. Indeed they were in danger of becoming addicted to this rush of instant information. 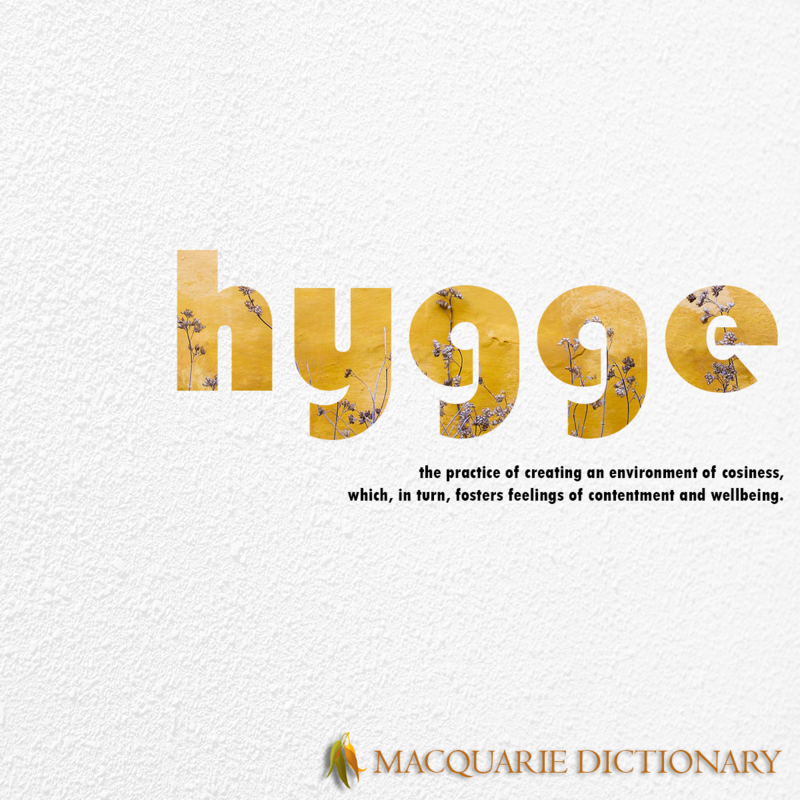 This was a word that reflected a significant change in how we conducted our lives. It was also a neat coinage. 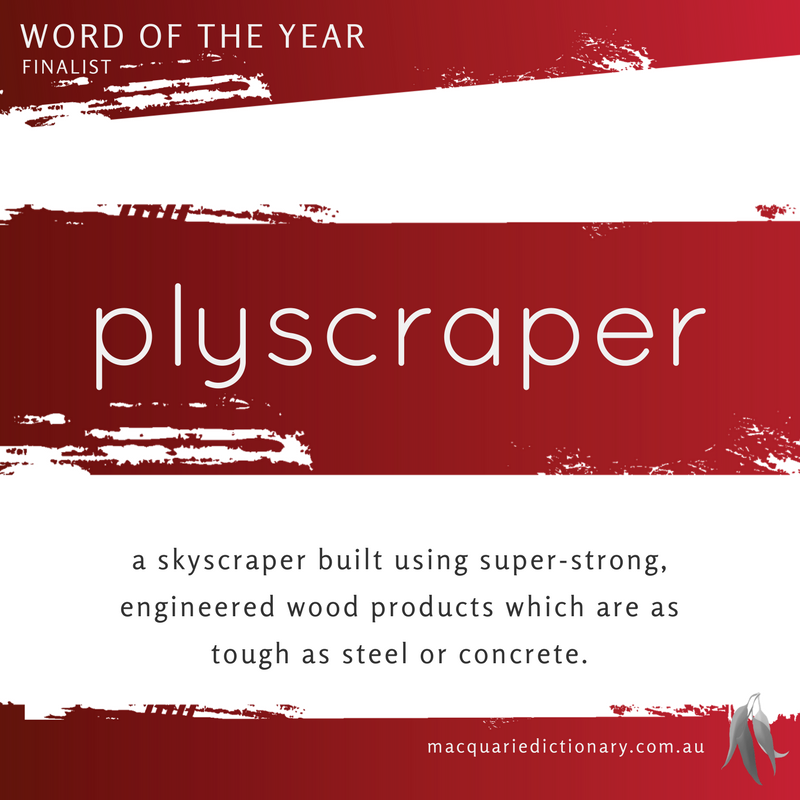 to landscape (an area) with the possibility of bushfire in mind, as by growing fire-resistant plants, creating firebreaks with gravel, concrete, etc., eliminating flammable wood or plastic items. 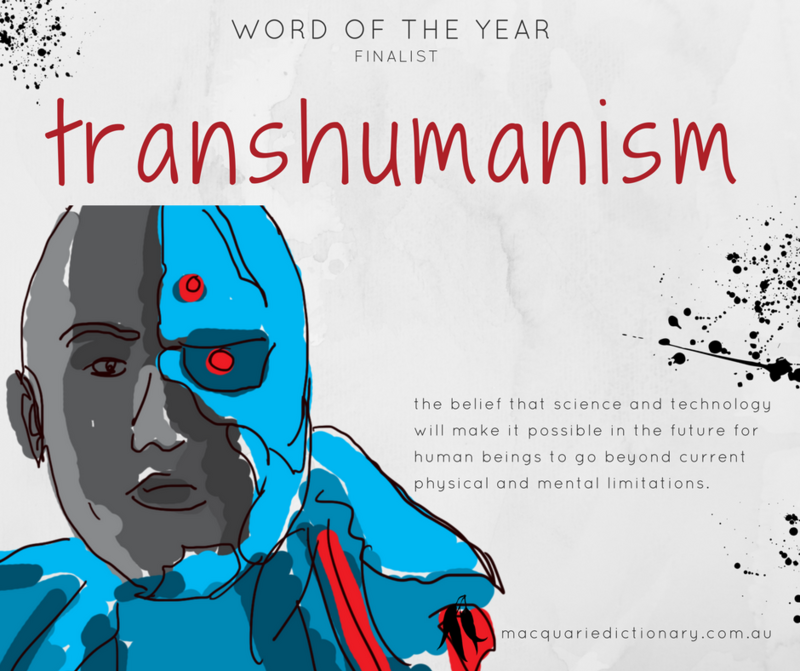 noun 1. a genre of speculative fiction based on the premise that climate change will give rise to fundamental changes in the way human beings live. 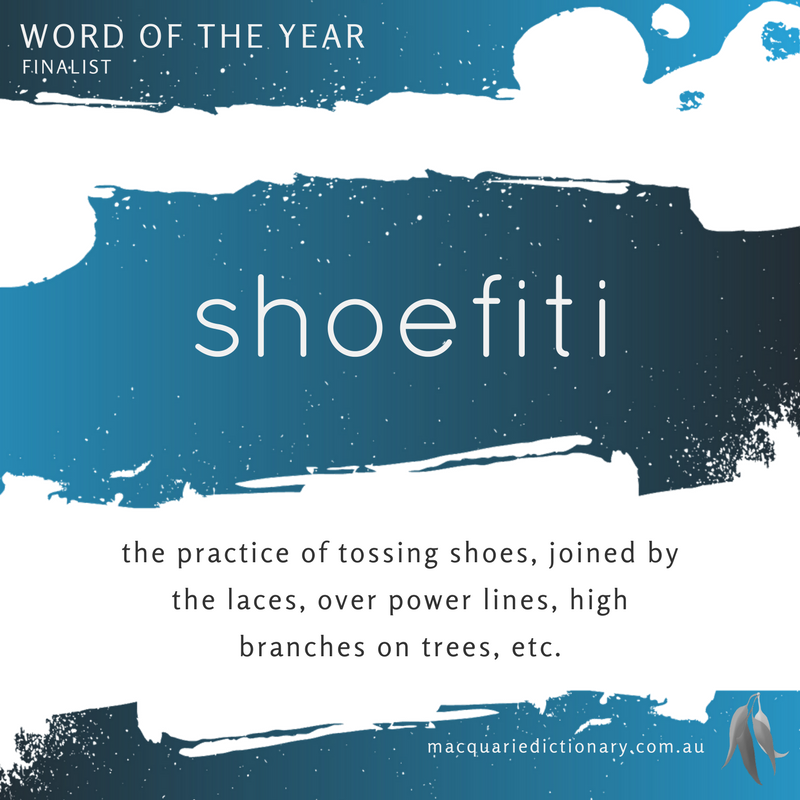 –adjective 2. of or relating to cli-fi. Each summer now we are constantly aware of a background of major bushfires. 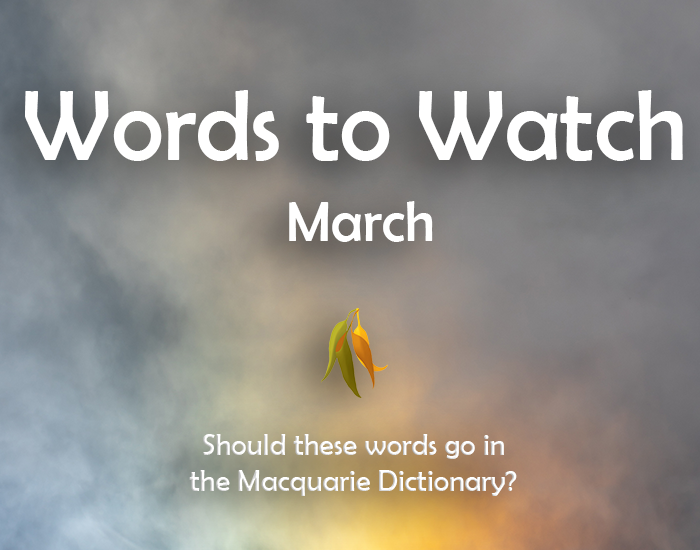 In response to this there is a continuing flow of new words related to bushfires and how we deal with them. Firescaping is a form of landscaping that reduces the hazard of fire. 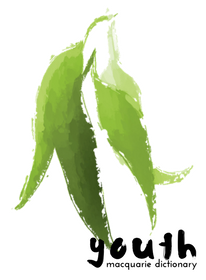 The other honourable mention went to cli-fi, a neat coinage, and one that is prompted by environmental change. The committee thought that it was fair to say that in all the discussions generated by this topic, no one had predicted a new genre of sci-fi as an outcome. 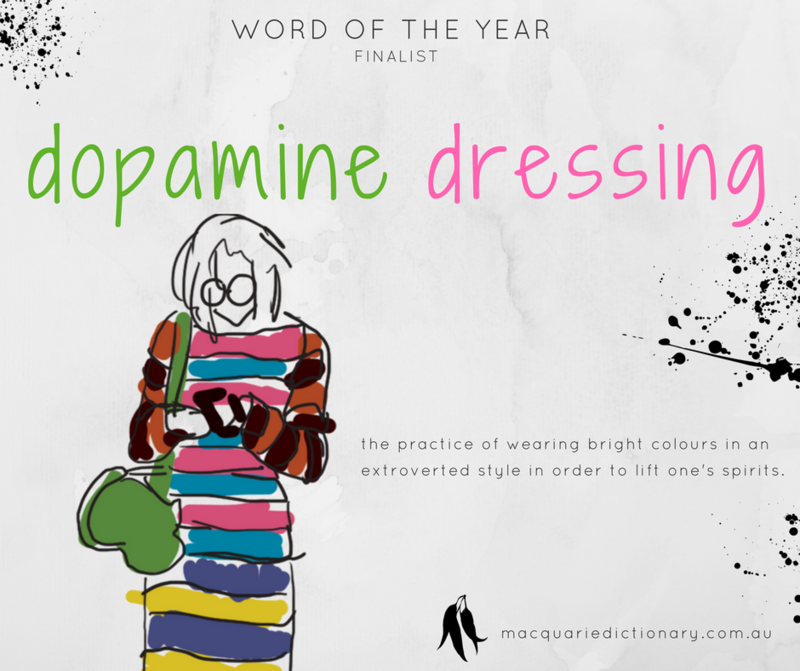 noun 1. a loose-fitting one-piece suit, usually of a stretch fabric, gathered at the wrists and ankles and loose at the crotch. 2. a one-piece stretch garment for an infant, with or without legs and sleeves, sometimes enclosing the feet. 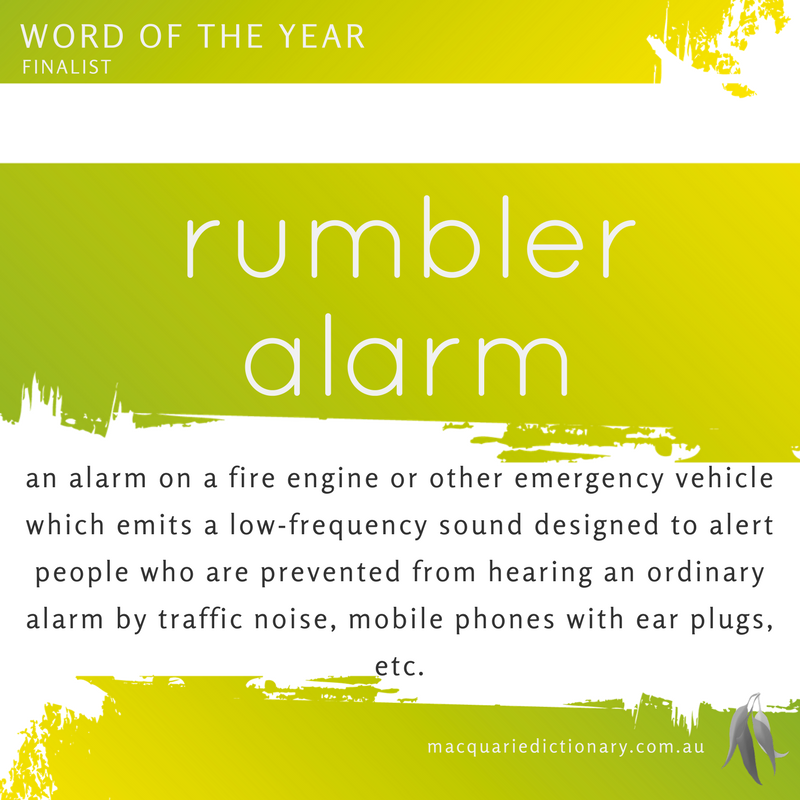 Download the pdf to view all the entries considered for Word of the Year 2013.
noun a syndrome characterised by constant anxiety in relation to one's mobile phone and an obsessional conviction that the phone has vibrated in response to an incoming call when in fact it hasn't. Also, phantom phone vibration syndrome. The committee thought that phantom vibration syndrome (which they suggest should be abbreviated to PVS in the spirit of the times) was an indication of how attached we have become to this technology which has had such an impact on all our lives. They enjoyed the self-deprecating tone of First World problem and acknowledged that it is frighteningly true how adept small children (technomites) are with new technology. 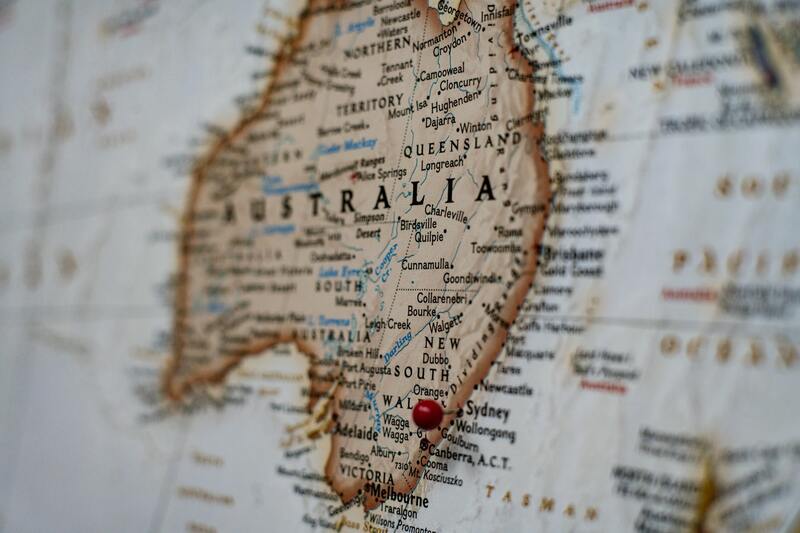 They thought that the origins of Aussie Rules in the Indigenous game marngrook should be recognised and observed the democratisation of knowledge and enterprising activity in the term crowdfunding. noun the obtaining of small donations from individuals contacted through social networks, as to fund a project, support a cause, etc. noun (humorous) a young child who is adept in the use of digital media. 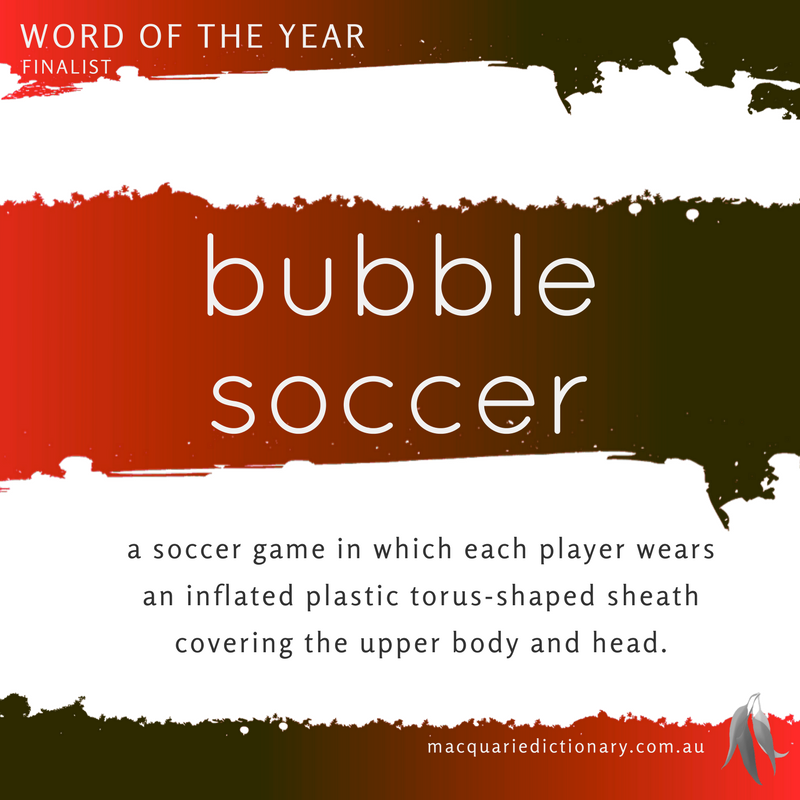 noun a type of football played by Aboriginal people of south-eastern Australia before European settlement, being characterised by large numbers of players covering a wide area of ground, a ball made from stuffed animal skin, and a style of play which involved dropping the ball onto the foot and kicking it, and leaping high above others to catch it; seen as an influence on Australian Rules. noun a problem that relates to the affluent lifestyle associated with the First World, and that would never arise in the poverty-stricken circumstances of the Third World, as having to settle for plunger coffee when one's espresso machine is not functioning. 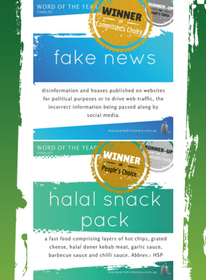 Download the pdf to view all the entries considered for Word of the Year 2012.
noun a swimsuit designed for Muslim women, comprising leggings and a tunic top with a hood. 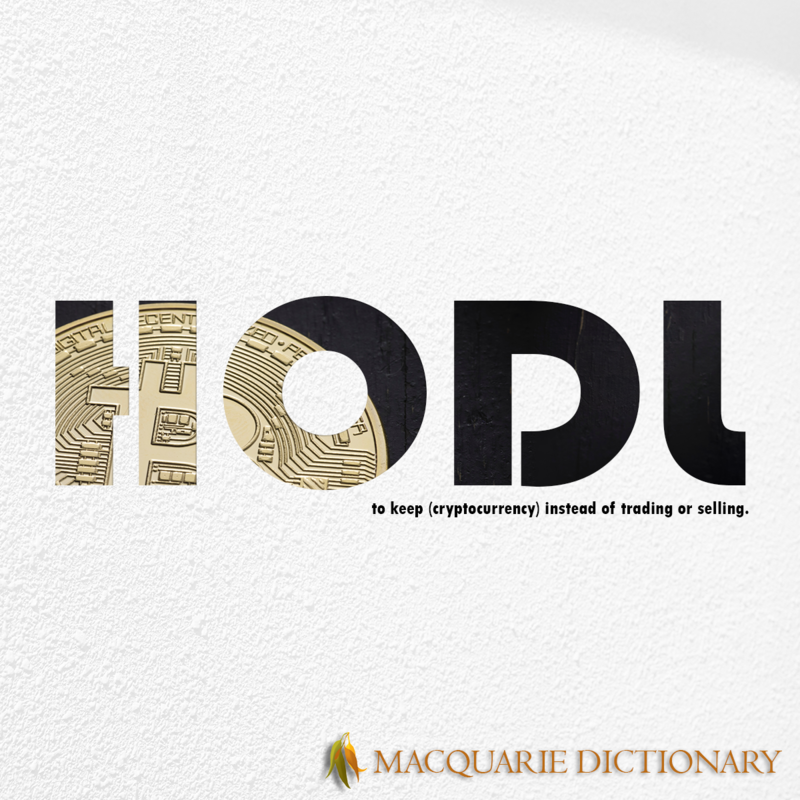 noun an economy characterised by areas of growth reflecting regions which are booming, and areas of decline reflecting regions which are less prosperous. 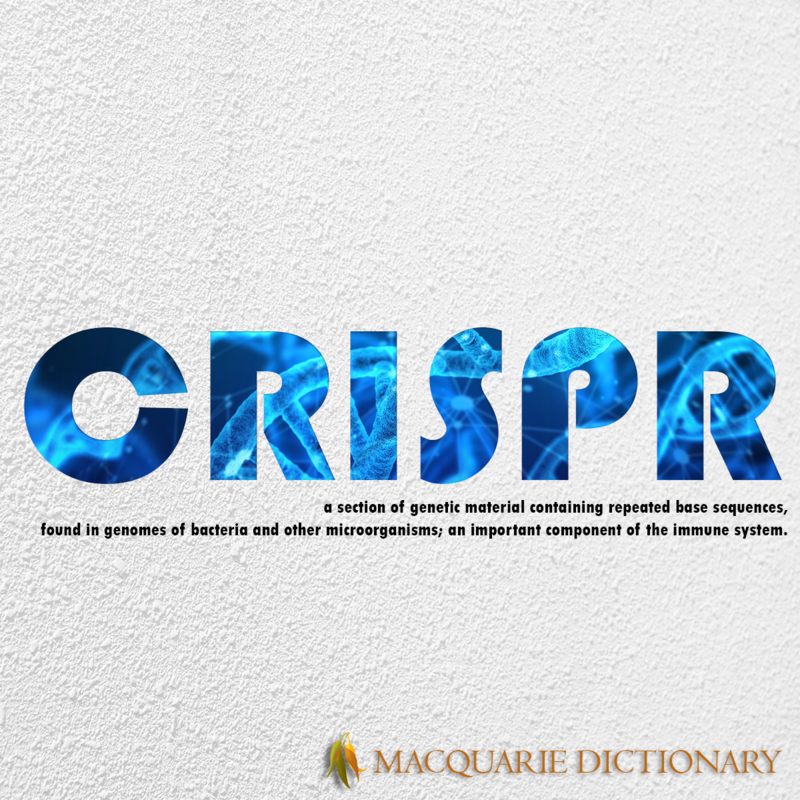 noun the productivity of a cow in terms of the quality and quantity of its milk, assessed by udder shape and size, pedigree, genomic screening, etc. 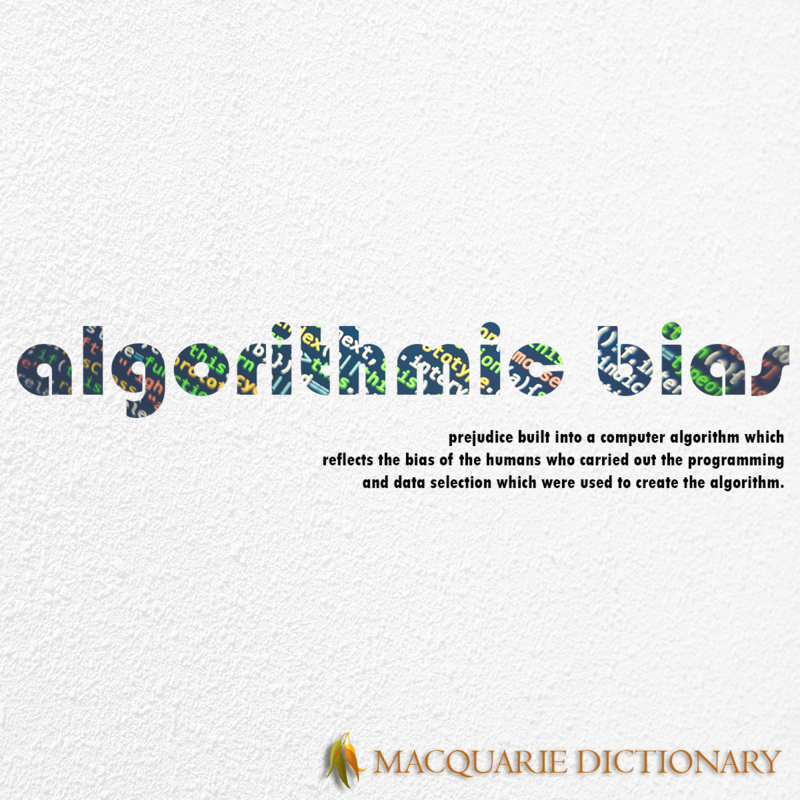 ; used as a judging criterion in competitions. noun Politics an item made public by a government, usually in a media release, as good publicity for the government or as a distraction from bad publicity. noun (in oil and gas mining) a process by which fractures are made in rock by the application under pressure of chemically treated water mixed with sand to natural or man-made openings in order to gain access to oil or gas supplies, considered by some to be associated with groundwater contamination; hydraulic fracturing. 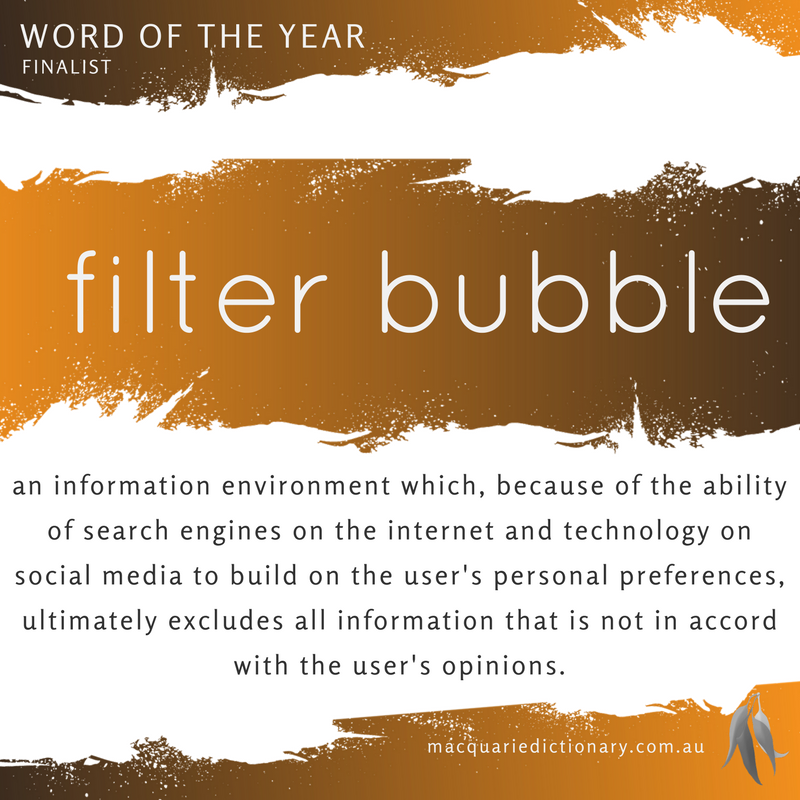 Download the pdf to view all the entries considered for Word of the Year 2011.
noun a person with the same name as oneself, whose online references are mixed with one's own among search results for one's name. noun a plastic horn (def. 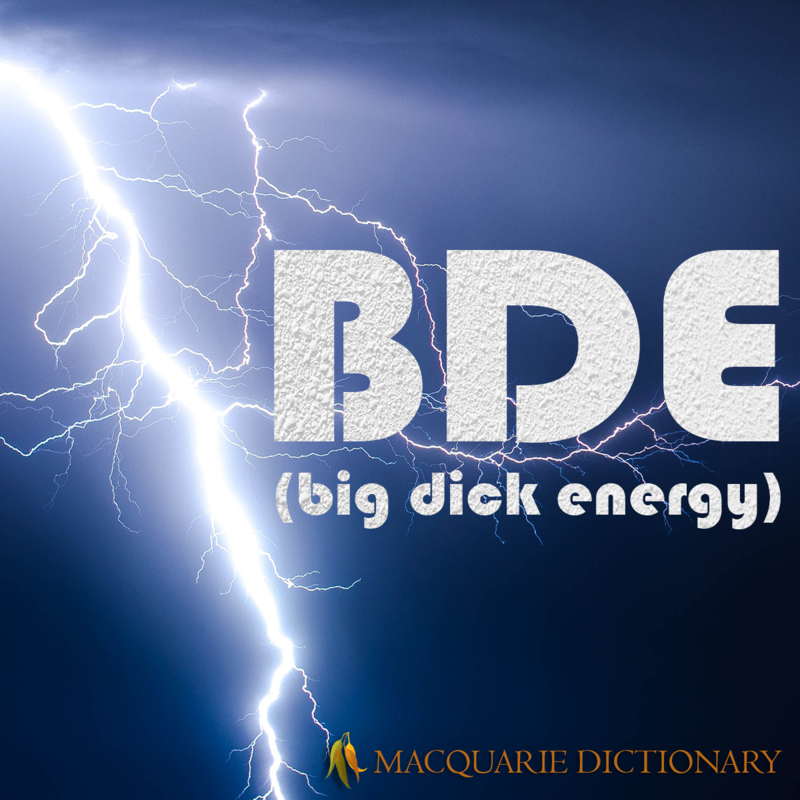 13), up to one metre in length, which emits a loud buzzing sound; commonly played in South Africa by fans at soccer games. Evan Hannah, Group Editorial General Manager, News Ltd.
1. a documentary film or television show featuring footage of accidents or violence. 2. a documentary film or television show which gives damaging information about government bodies, industries, etc., often presented in such a way as to magnify the inherent shock value of the facts. 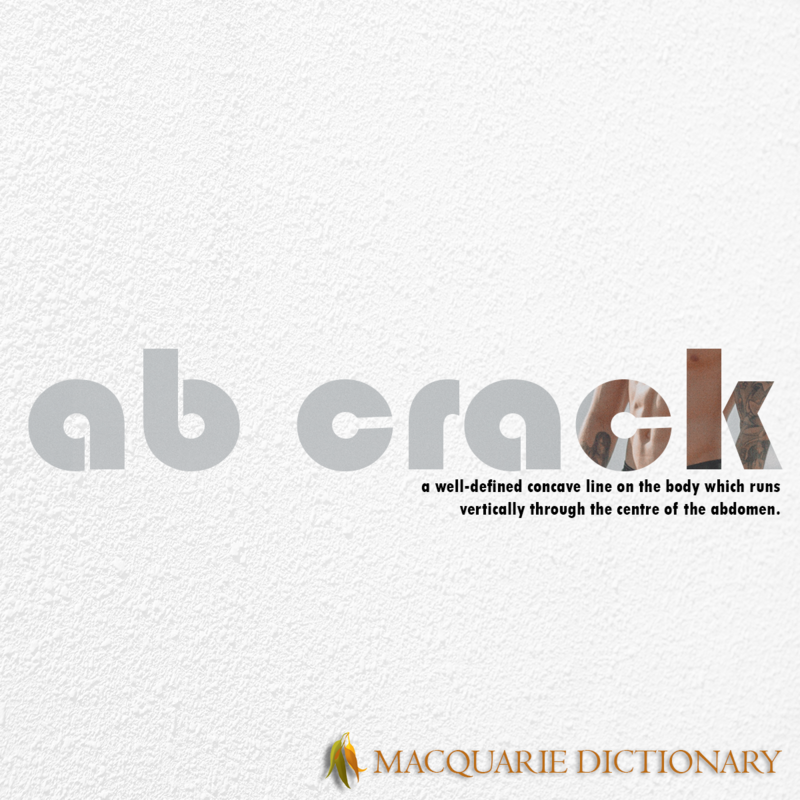 adjective (of a building or infrastructure project) capable of being initiated immediately as soon as funding is assured. verb (i) 1. to post a message on the social network site Twitter. –verb (t) 2. to post such a message to (someone). –noun 3. such a message. noun media, as print newspapers, television, etc., which, although strong and influential in the past, are thought to be losing viability in the face of changing methods of communication. Compare social media. 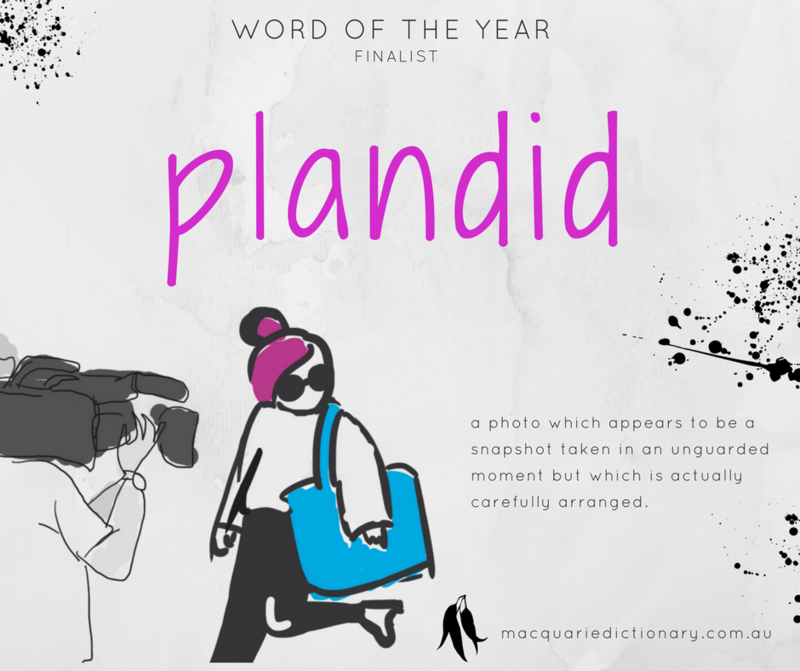 noun a supporter of a politician or other media figure who stands beside them in the frame of a television shot and nods his or her head in agreement with what the speaker is saying. noun (plural cyberbullies) 1. a person who bullies another using email, chat rooms, social network sites, etc. –verb (t) (cyberbullied, cyberbullying) 2. to bully (another) in this way. Also, cyber bully, cyber-bully. noun debt which, although initially acquired as a legitimate business transaction, proves subsequently to be financially worthless, as the subprime loans which precipitated the GFC. 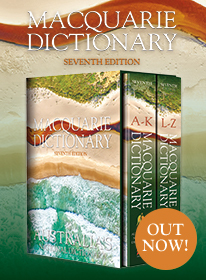 The committee, in the course of its review of the words that had been added the Macquarie Dictionary, considered the important events of 2008. The concern with the environment was an obvious issue and there were many words reflecting this, water footprint having considerable appeal. But the event of 2008 which overshadows all our lives was the GFC, itself a term now added to the lexicon. 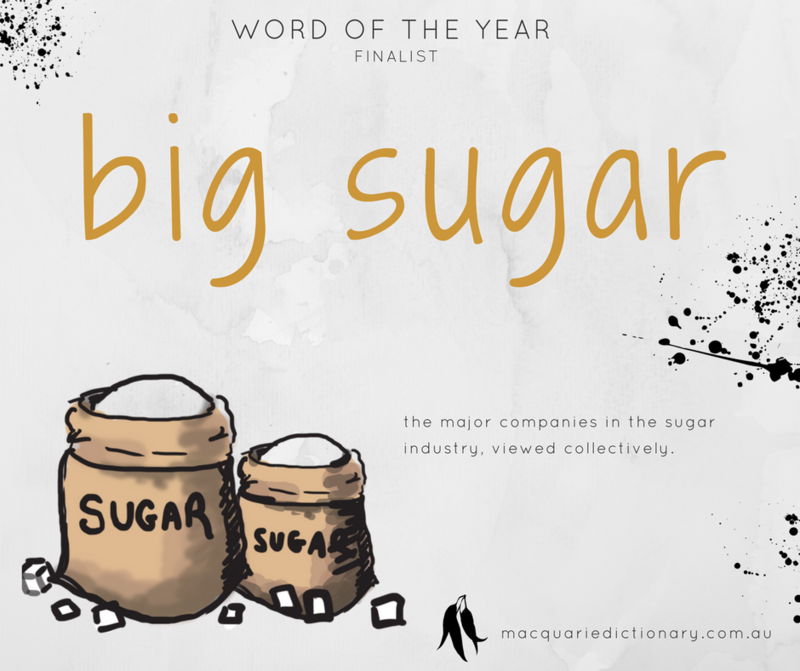 In this category toxic debt was thought to be the root cause, the lingering blight on our lives, and in addition it had, as a lexical creation, a visceral impact. It needed no explanation but said it all. noun Colloquial someone who sends an excessive number of text messages. 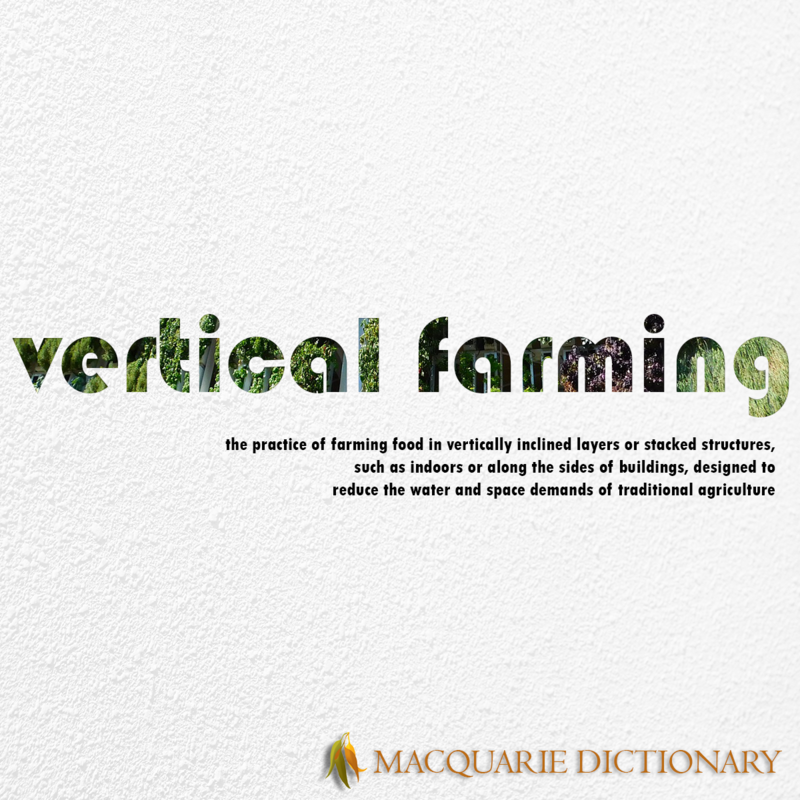 noun a person who plants gardens in areas controlled by councils or other organisations but neglected by them in terms of vegetation, as nature strips, roundabouts, council-maintained gardens, etc. Also, guerrilla gardener. noun the downloading of large quantities of data to an MP3 player or memory stick from a computer. In this increasingly tech-savvy world we live in, it seems pod slurping really is the new memory bank for us busy bees. Why carry around vast reams of documents, or CDs or anything for that matter, when you can download absolutely everything! Pod slurping has an inventive and sensuous appeal. 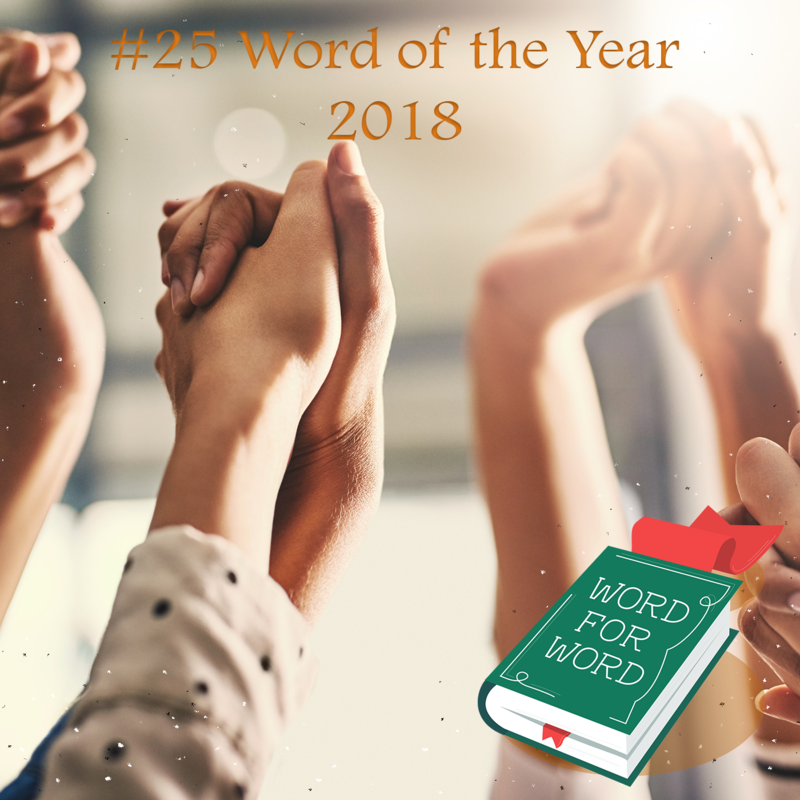 The committee felt that the most important criterion for word of the year should be linguistic creativity and evocativeness, rather than simple worthiness or usefulness. Pod slurping also dips its lid to pod, a potent little word of our times. 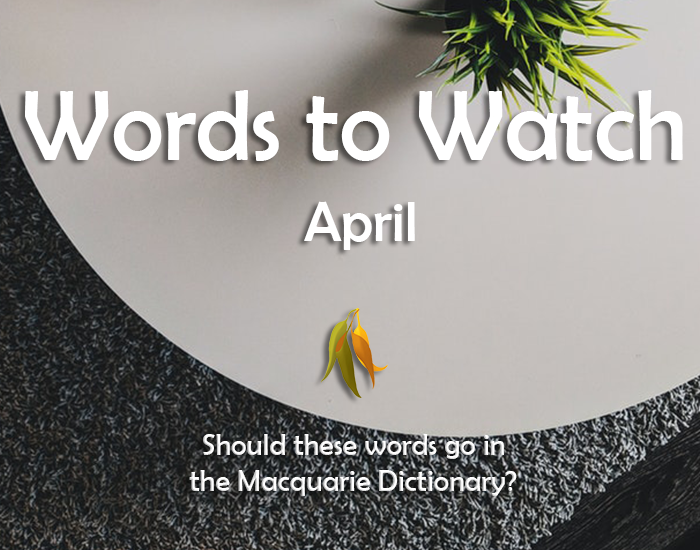 Publisher of the Macquarie Dictionary, Susan Butler. Infomania is a neat coinage for an obsession to which many of us can so easily succumb, and a word which was created in the early 1980s - very much ahead of its time. 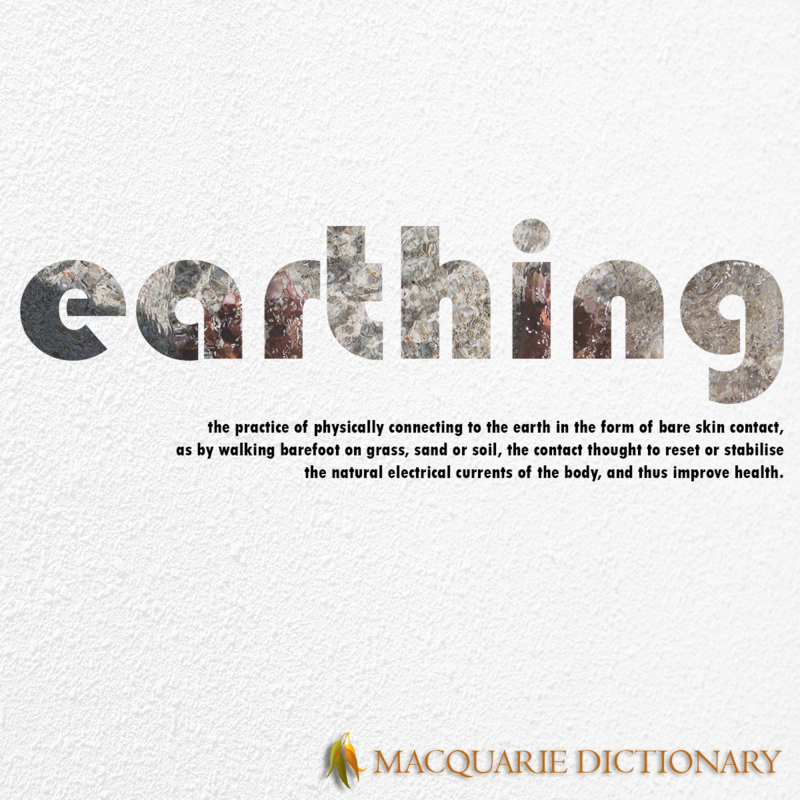 noun the carbon dioxide emissions for which an individual or organisation can be held responsible, as by their travel, fuel consumption, diet, energy requirements, etc. 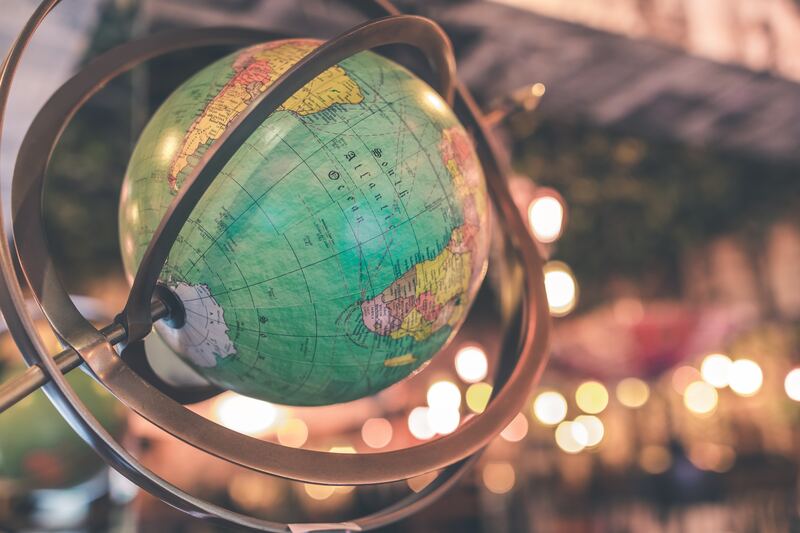 Obviously carbon footprint is one of the environmental words which is of significance to us all, and a very useful term to express a new social concept. noun a level of frustration reached by having too many different passwords to remember, resulting in an inability to remember even those most commonly used. Password fatigue was the most popular word in the online voting, clearly registering a widespread dilemma of the online world. 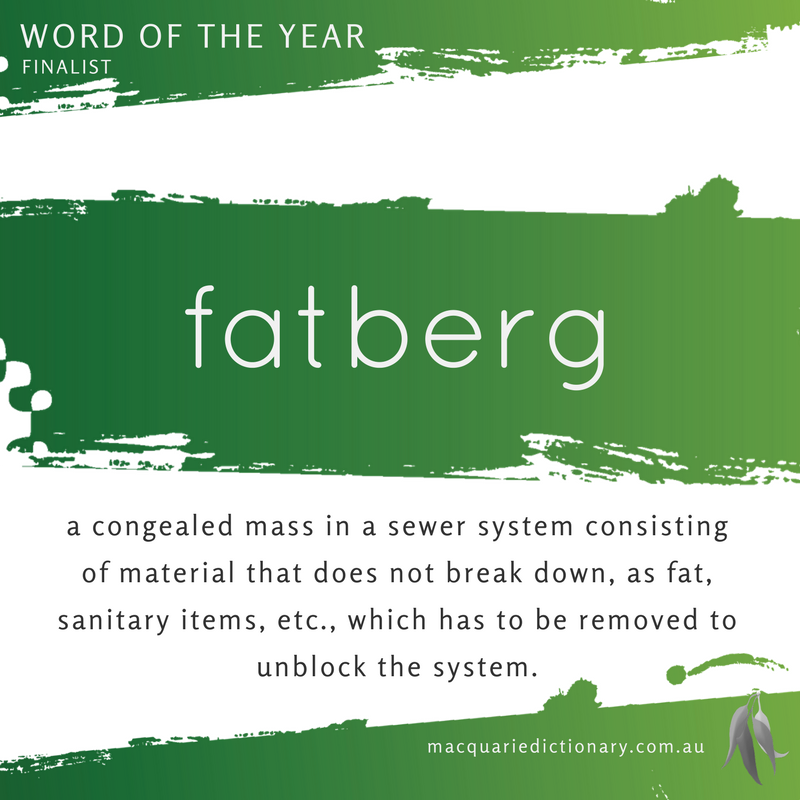 noun Colloquial the fold of fat around the midriff which, on an overweight woman, spills out over the top of tight-fitting pants or skirts. This seems to be an Australian creation which has spread around the world, carried on by the popularity of Kath and Kim. 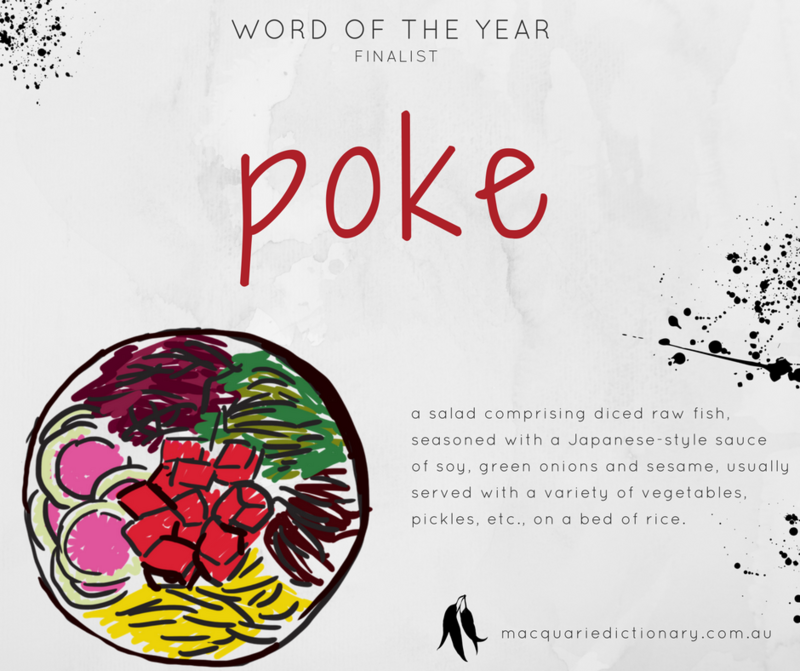 It made news in New York in 2005 and was one of the words nominated for the American Dialect Society's Word of the Year Most Creative section. It was pipped at the post by whale tail, the bit of the g-string or thong that shows above the waistband at the back of pants. 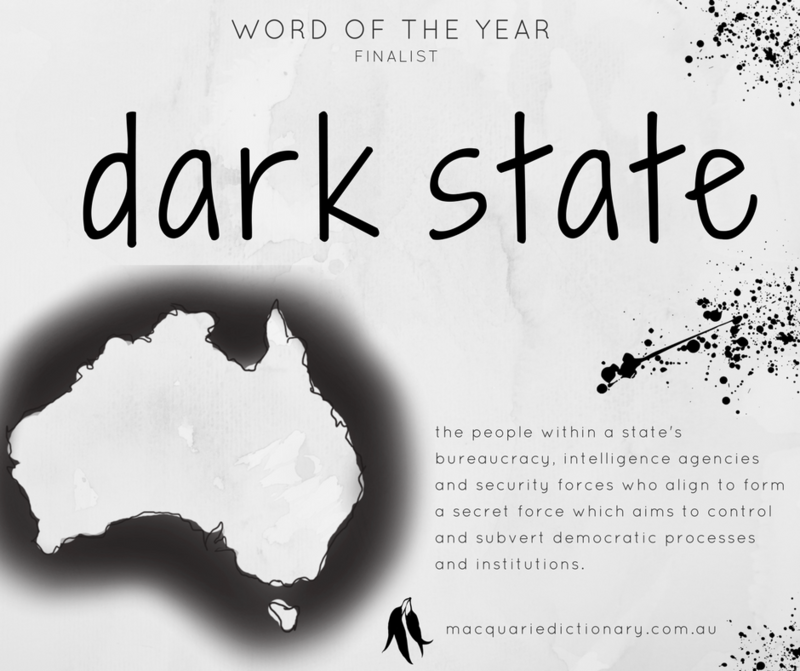 The Committee thought that the vivid imagery of this word with its sense of playfulness and the fact that it is an Australianism made it the clear winner. 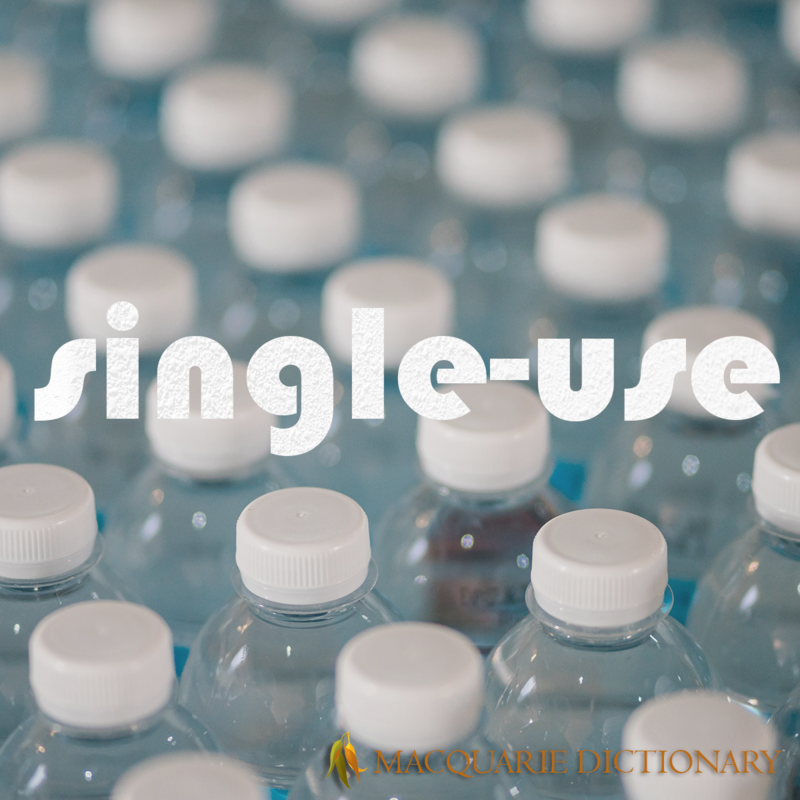 noun the dissatisfaction that accompanies consumerism as a path to happiness. The definition which seems current for the rest of the world is 'the psychological malaise suffered by wealthy young people with symptoms of lack of motivation and feelings of guilt'. 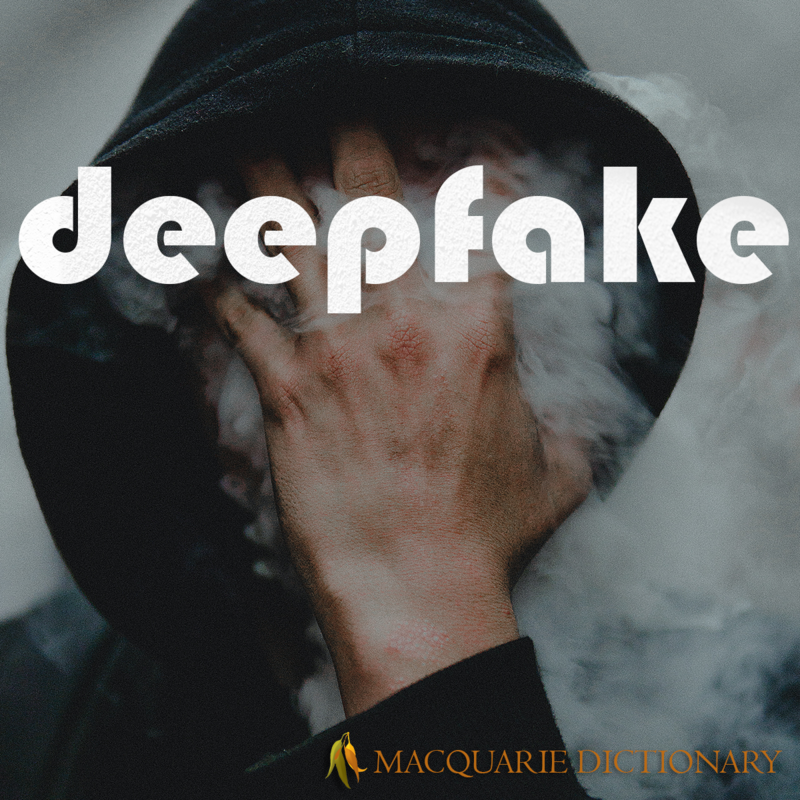 In Australia the meaning has been generalised to cover a widespread social phenomenon, not just a malaise of the rich. 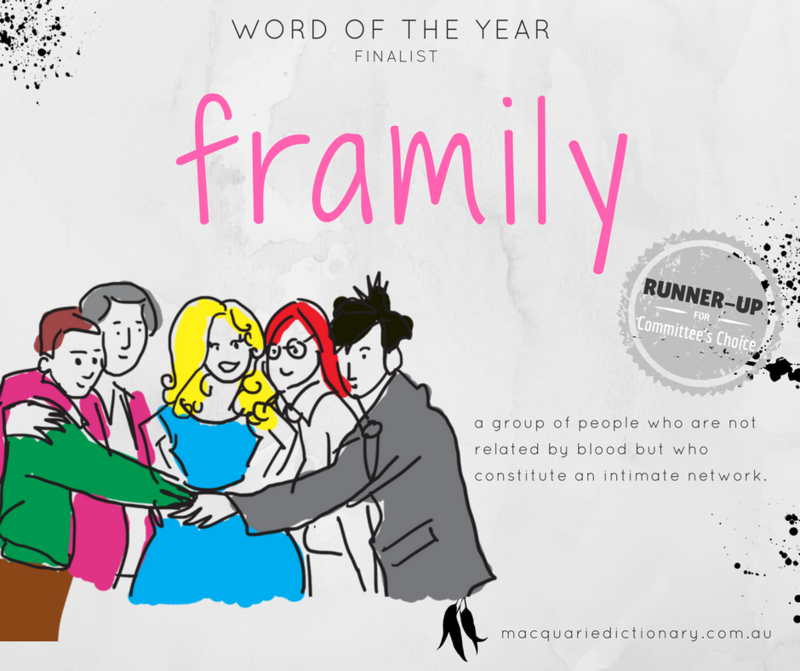 The Committee felt that this word framed a concept that was significant in the community and for which there was no other word. The coinage was neat, almost too neat, and, unlike many attempts at creating new words by blending, did lead to a reasonable grasp of the meaning from an analysis of its parts (affluent + influenza). 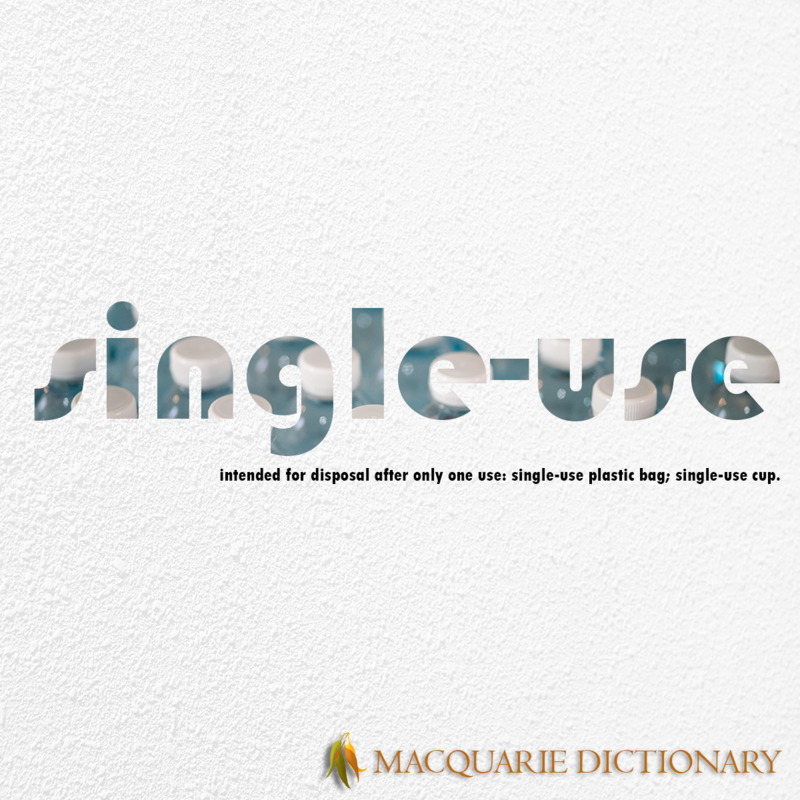 plural noun the miscellaneous organisational details relating to the administration of a project, organisation, etc. This again is a blend, in this instance of administration and trivia, but trivia in the sense of miscellaneous and often seemingly unrelated detail. 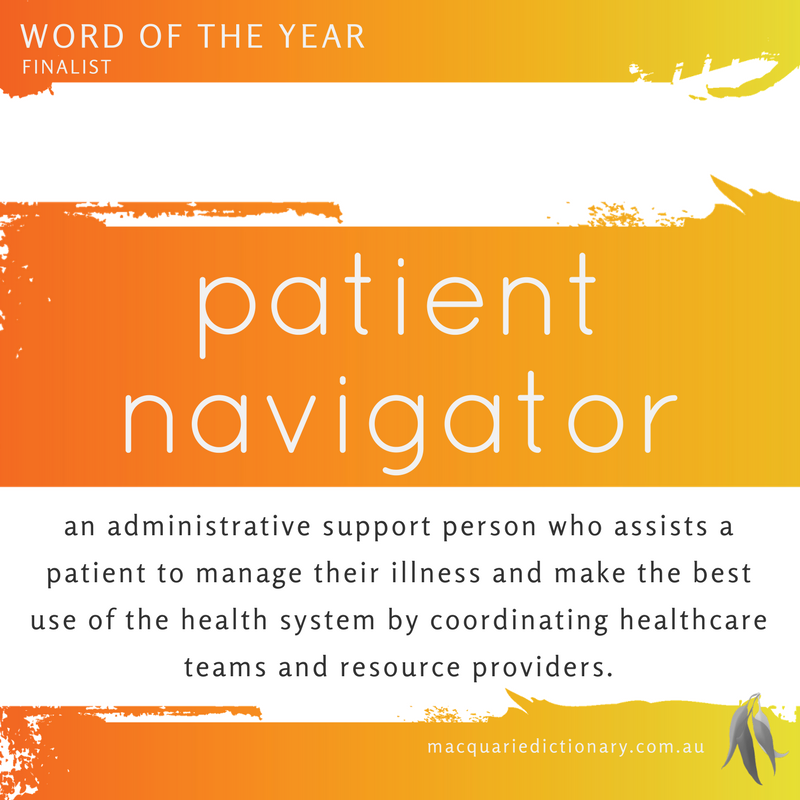 The word has been in use in some organisational circles for almost a decade but seems to have gained wider use in the community, perhaps in response to the feeling that more people now have to do their own administrivia rather than pass it on to someone else. noun a carefully crafted situation in which a member of government can deny any association with any illegal or unpopular activities carried out by servants of the government in the event that these activities become public. This term was first used by the CIA in relation to their activities in the Kennedy Administration. It does seem to have become a key feature of the American, British and Australian governments over the last decade.